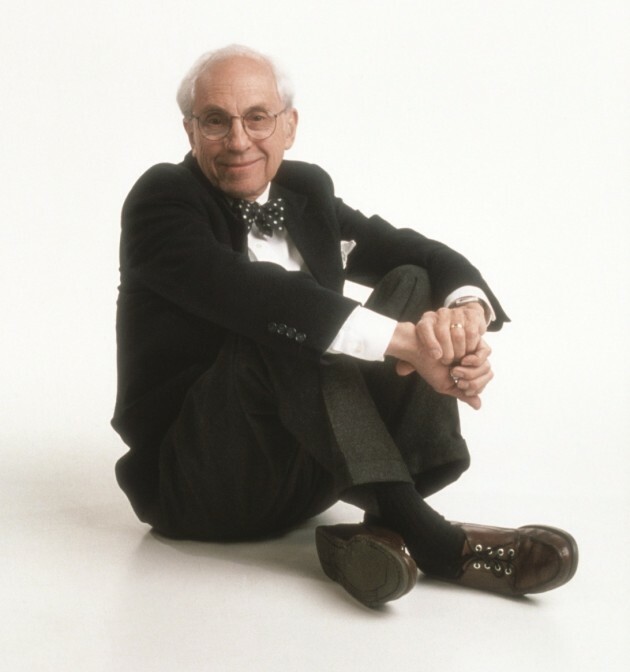 Richard Schultz (born 1926) is a furniture designer responsible for several iconic and notable creations during the last sixty years. 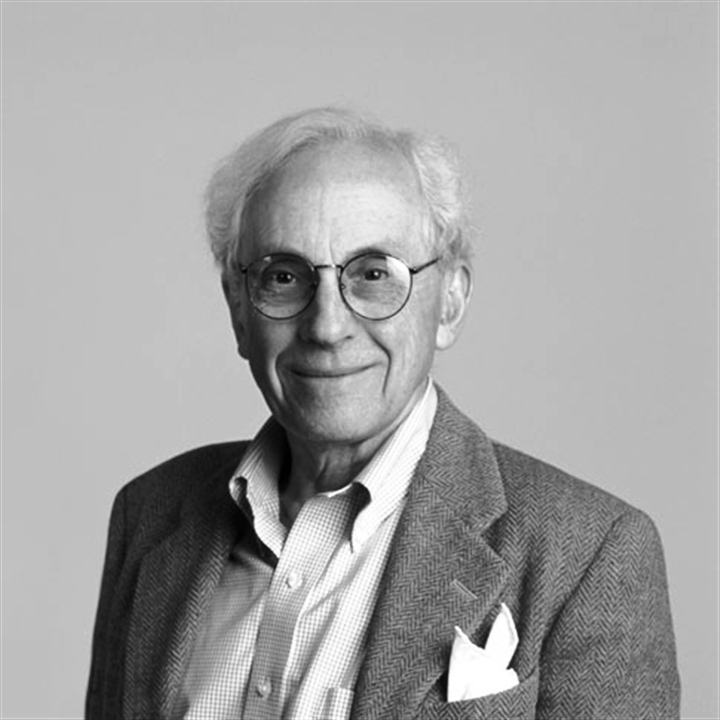 Richard Schultz joined Knoll Associates in 1951 to work with Harry Bertoia, after studying at Iowa State University and the Illinois Institute of Technology in Chicago. 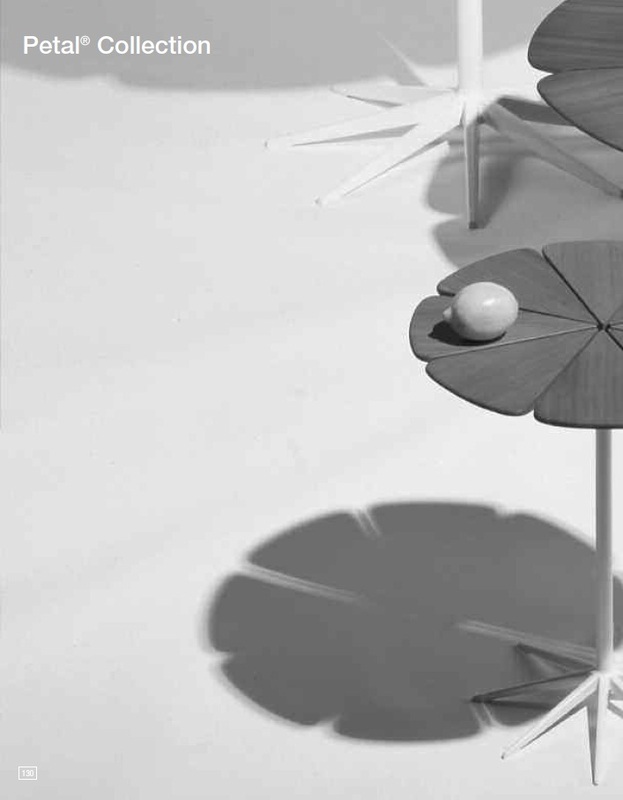 Hans (who died in a car crash in 1955) and Florence Knoll hired him at Knoll to assist Harry Bertoia, who was working on his metal experiments in a shed in Pennsburg, Pennsylvania. The Knolls wanted the project to move more quickly. 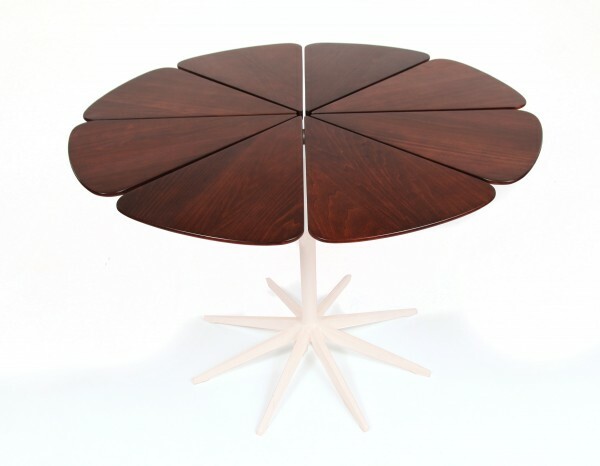 Schultz’s first breakthrough design was the Petal Table, inspired by a weed, Queen Anne’s Lace, on the Schultzes’ Pennsylvania farmhouse property. 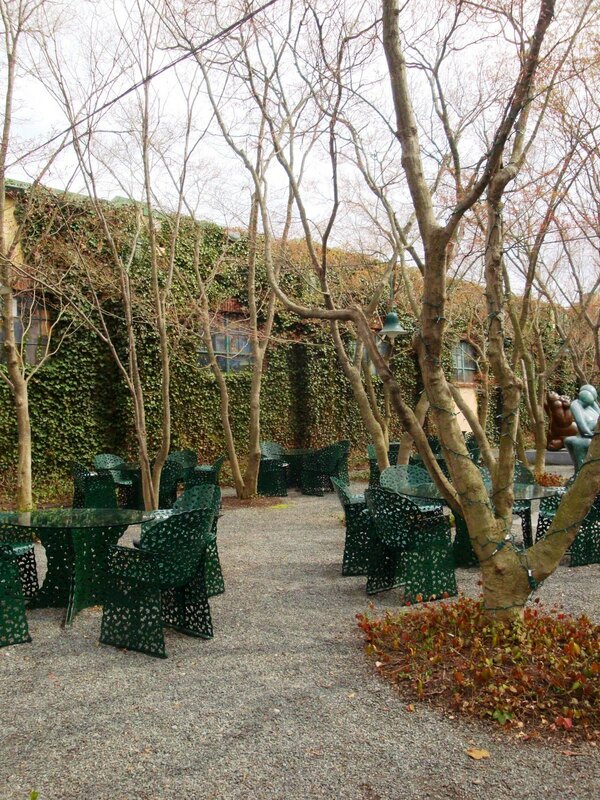 It was designed to accompany Bertoia’s iconic wire chairs for Knoll, and was made part of the permanent design collection of the Museum of Modern Art, New York. 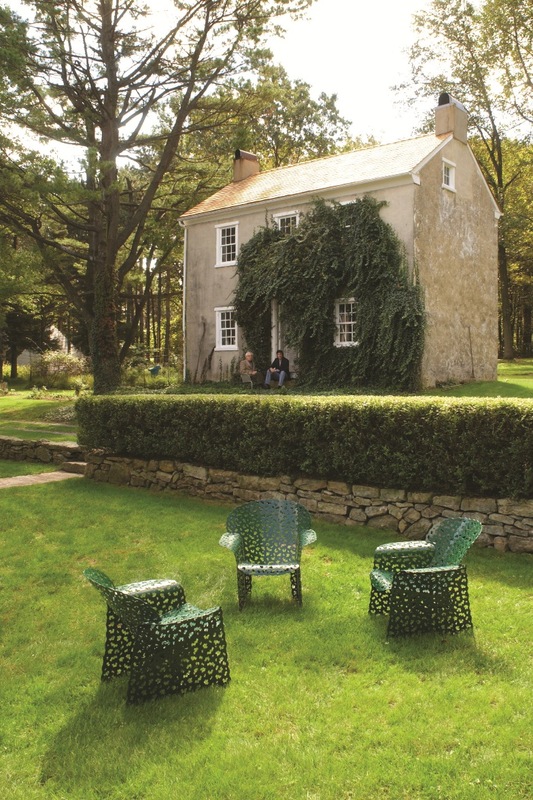 “Harry Bertoia used to say the best place to sit is the beach,” Schultz says with a smile. 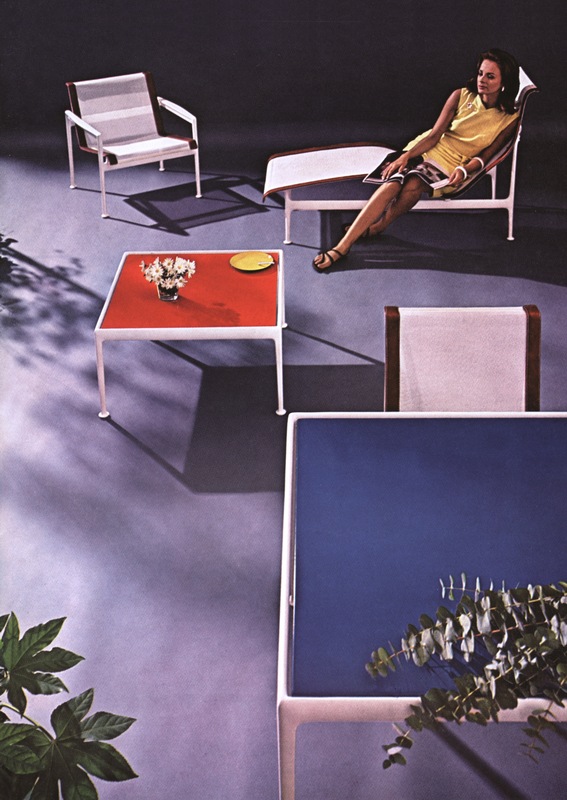 Florence Knoll preferred a seat to sand, so she called Schultz to the task of designing durable outdoor furniture. 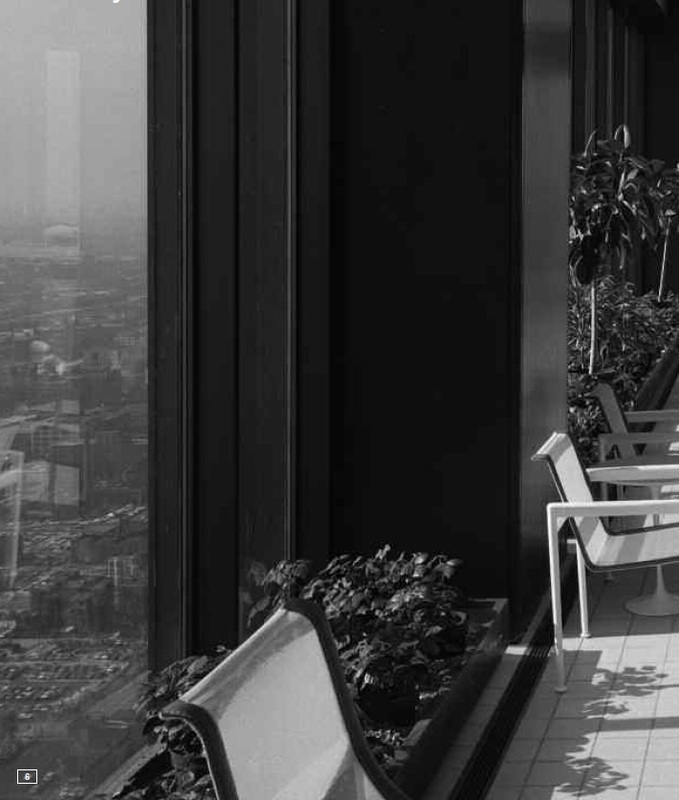 “Form follows function, or should,” Richard Schultz says. “But form also follows technology. 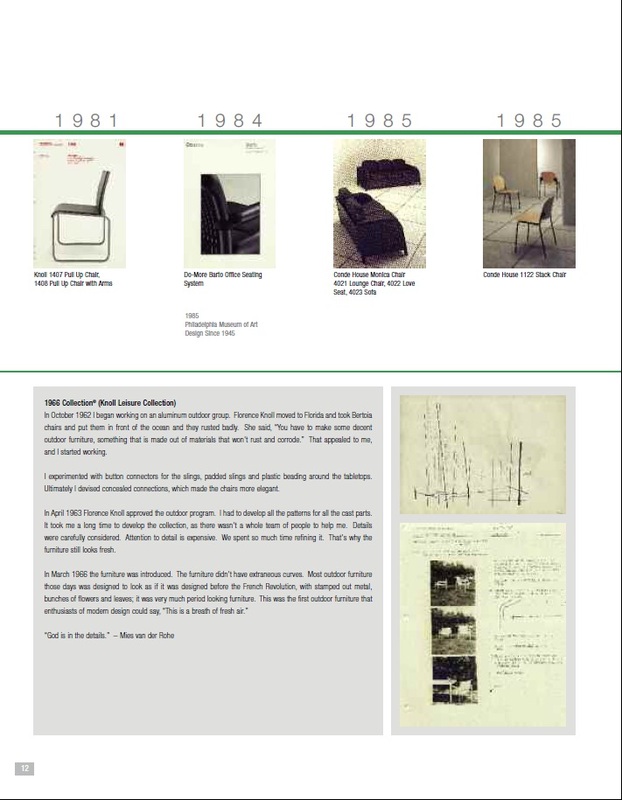 The most interesting furniture comes out of a new way of doing something.” But in evaluating the final product, he continues, “what’s interesting about furniture is what it looks like and how it feels. Beauty and utility. One without the other is a conversation piece.” By putting them together, Schultz has kept people talking for more than 30 years. 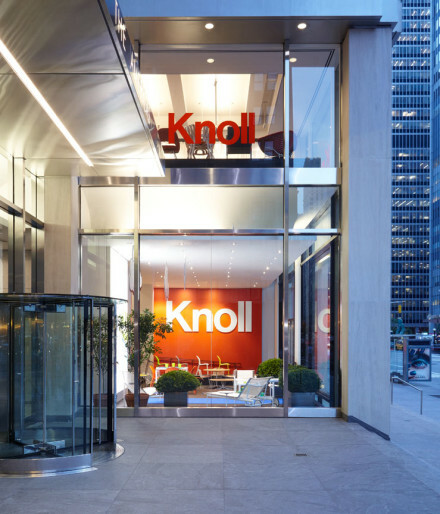 Knoll’s recent acquisition of Richard Schultz’s company ( Richard Schultz Design ) is a fitting new chapter in a story that began over 60 years ago when Richard Schultz’s mother was hired by Florence Knoll in 1950 to work with her on interior design projects. 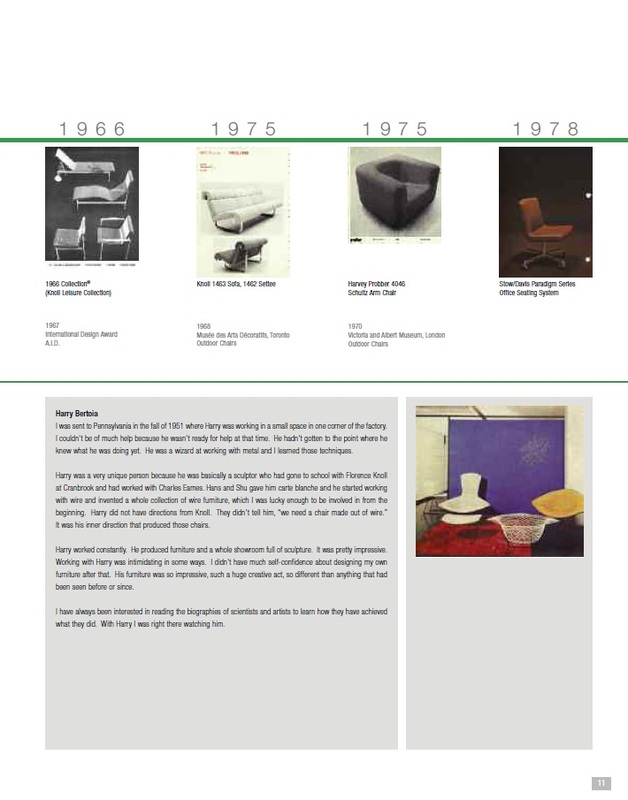 Richard’s father was hired by Hans and Florence Knoll in 1951… and whilst at Knoll in 1960 when Richard and co-worker Trudy Busch got married, owner Florence Knoll lent out her Paris apartment to them for their honeymoon. 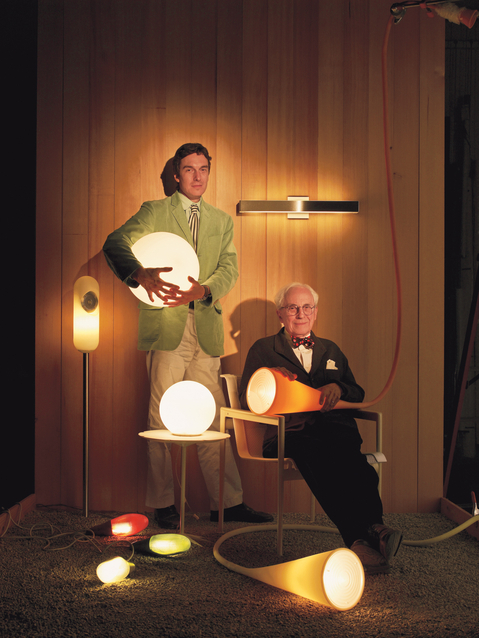 “We are a Knoll product, hence Peter is a Knoll product,” Richard says, smiling at Peter. 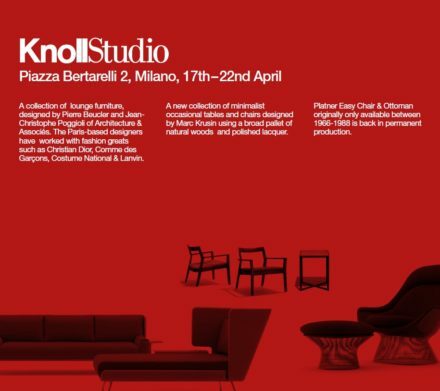 So the circle is completed with Knoll bringing the entire Schultz product range back home to Knoll. 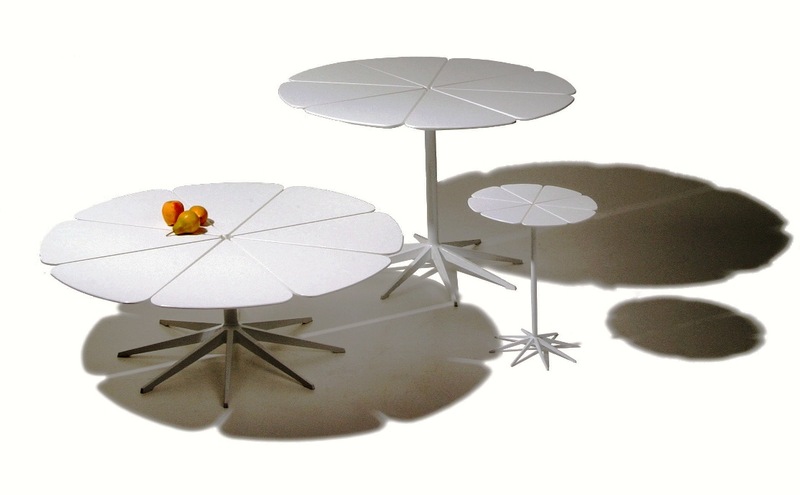 RSD’s well-known 1966 Collection of outdoor furniture, as well as their Petal Table system, were originally designed for Knoll, and were subsequently re-introduced by the Shultzes with the permission of their now parent company. 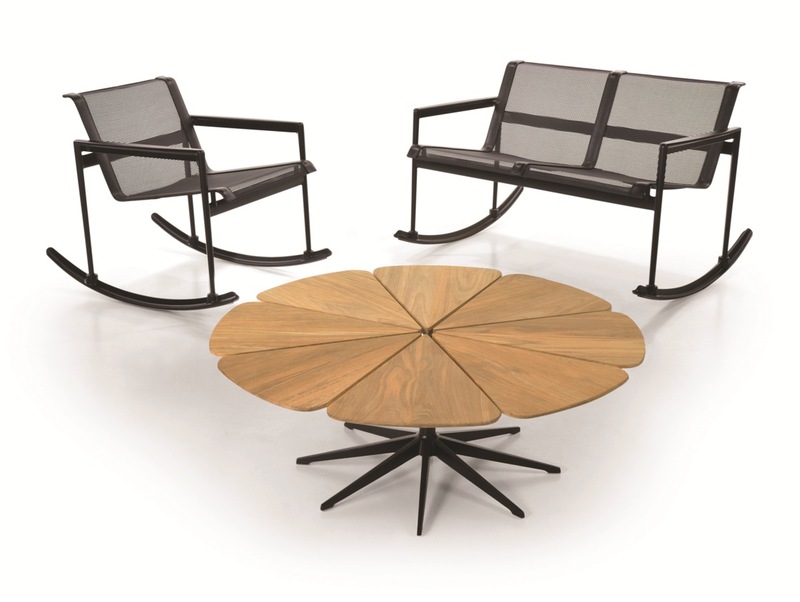 In the intervening decades since the Schultz family broke off from Knoll, their path has never strayed far from that of the older brand. 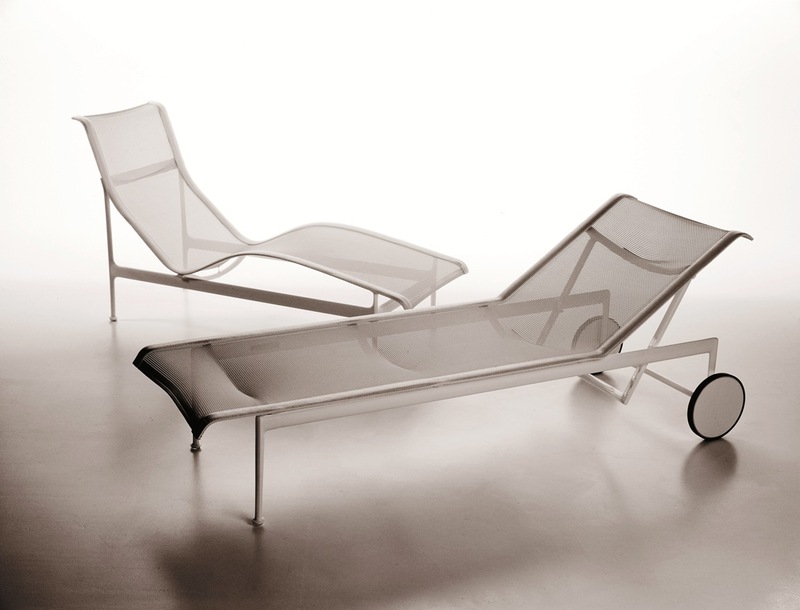 “Richard Schultz began his career as a designer with Knoll and co-founded his company with his son Peter in 1992. 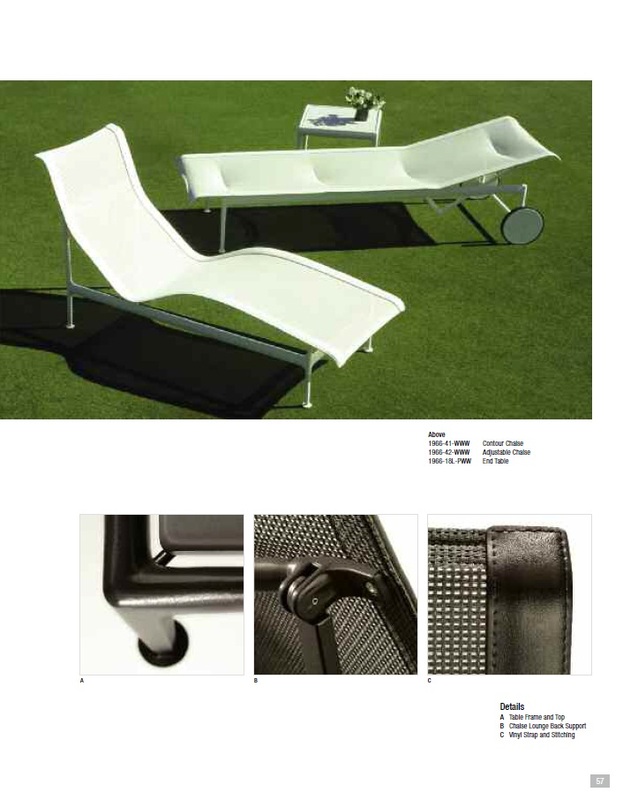 Together, they have built an international reputation for exploring new materials and forms for outdoor furniture. 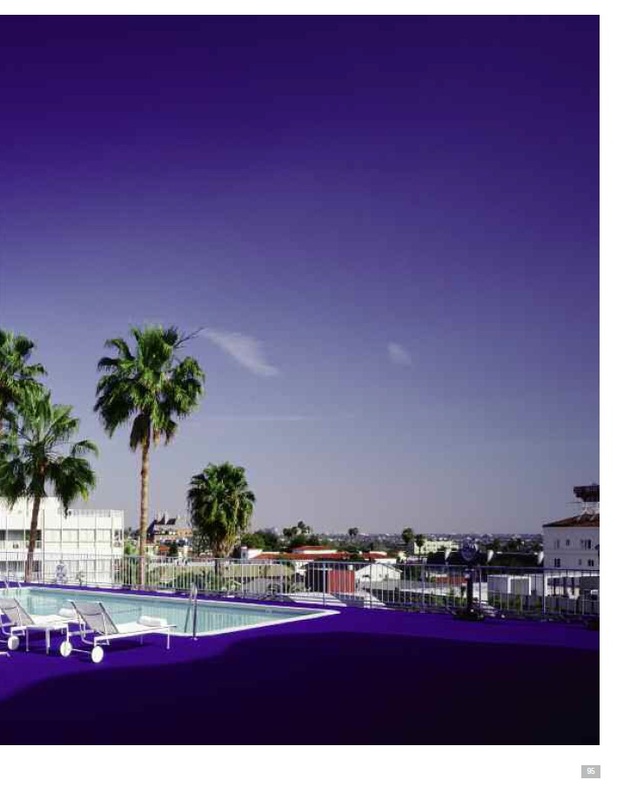 We look forward to the continuous success of the Richard Schultz brand,” he added. 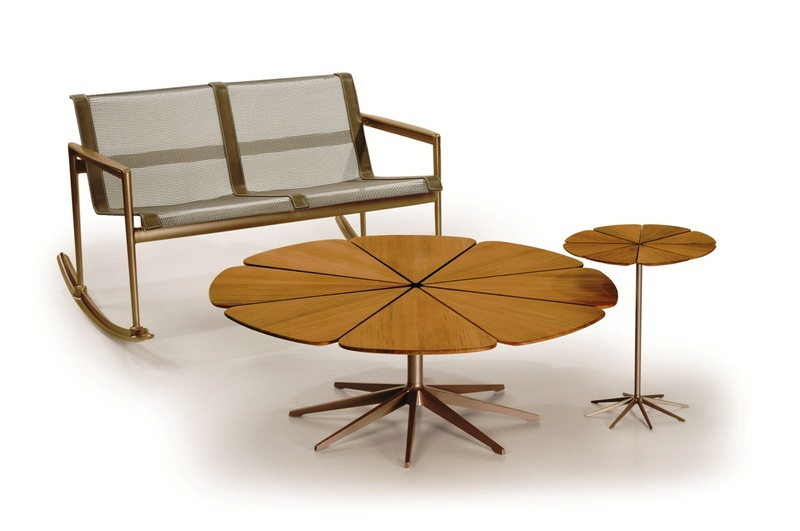 The Company, which maintains a flagship showroom in New York’s D&D Building, sells the iconic 1966 Schultz Leisure Line and 1960 Petal Table Collection, originally designed for Knoll, as well as other more recent contemporary outdoor furniture designs. 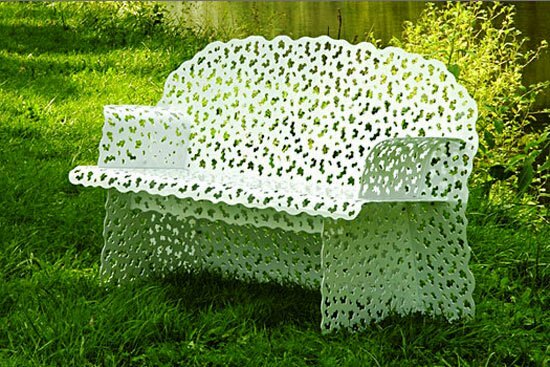 Its designs are included in the collections of The Museum of Modern Art, the Victoria and Albert Museum and the Philadelphia Museum of Art. 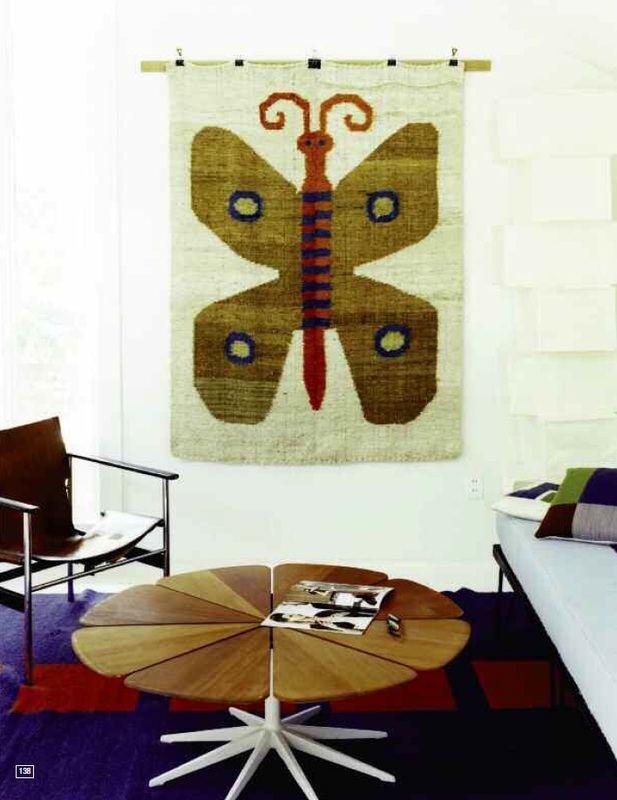 The outdoor collections designed by Richard Schultz are part of design history. Their presence in the Museum of Modern Art in New York is proof of this. 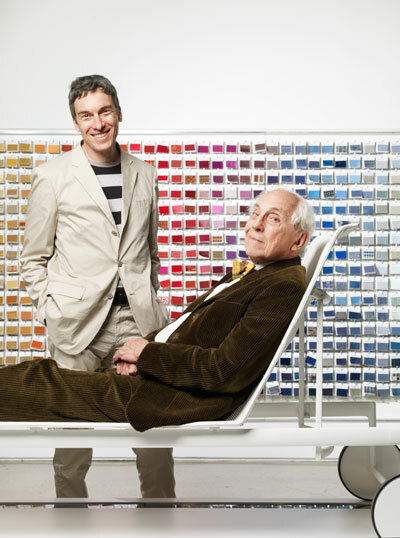 They represent one of the most important international projects that Knoll again sells. 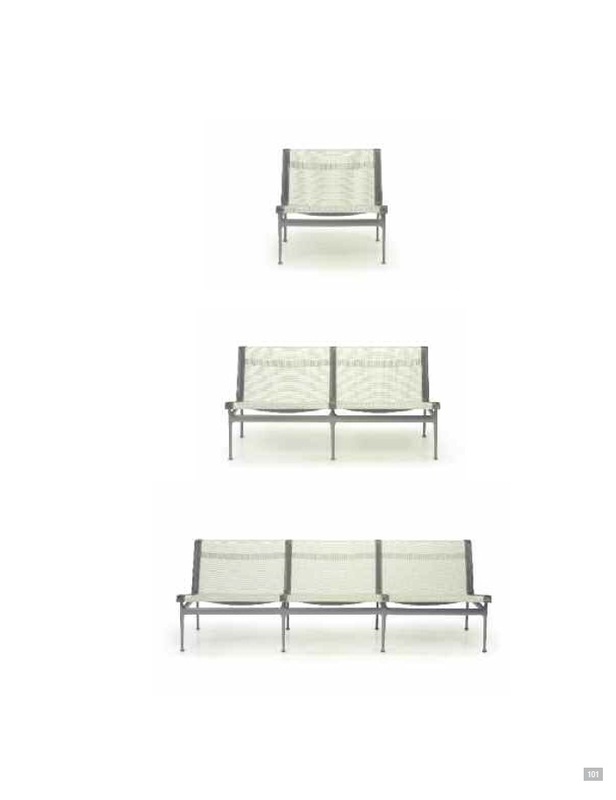 Different types of seats: chairs, armchairs and chaise longue are included in the collections. 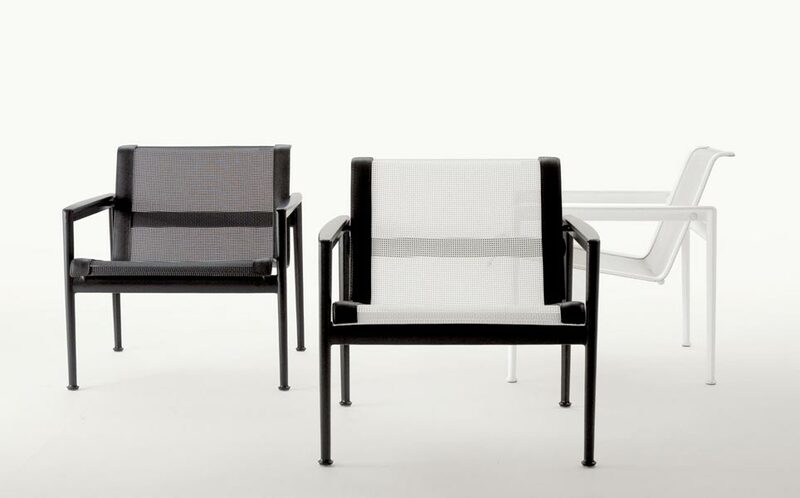 These pieces have become timeless classics, authentic icons of design. 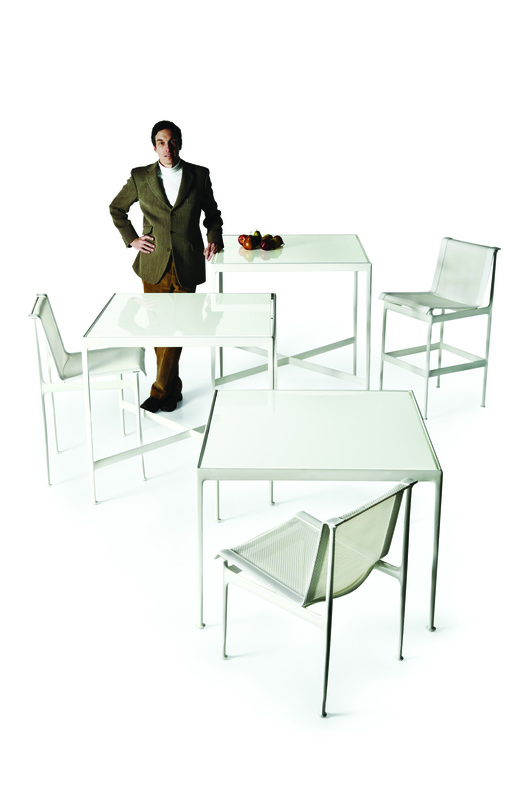 All sizes of tables, small tables and food trolley-table have the same frame and top in white porcelain steel. 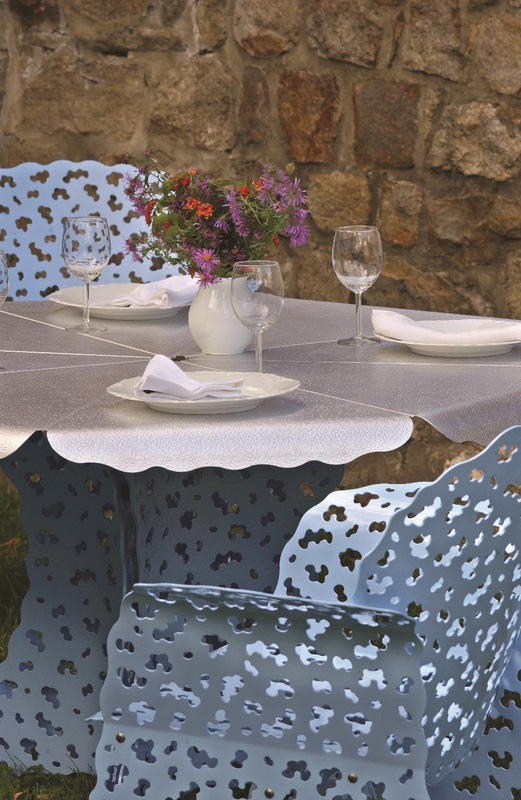 The product is realized with weather resistant polyester powder painting. 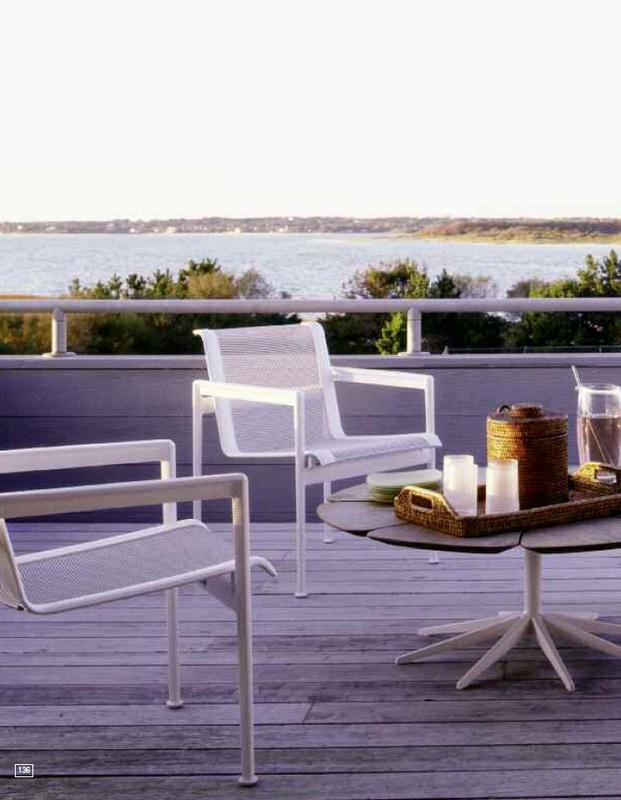 The classic design of the 1966 collection continues to look fresh and timely today, which is due to the Richard Schultz company, whose “furniture relates to a deep interest in sculptural form and its relation to nature and man.” Since it needed to resist ocean wind and high humidity, the 1966 collection used strong materials. 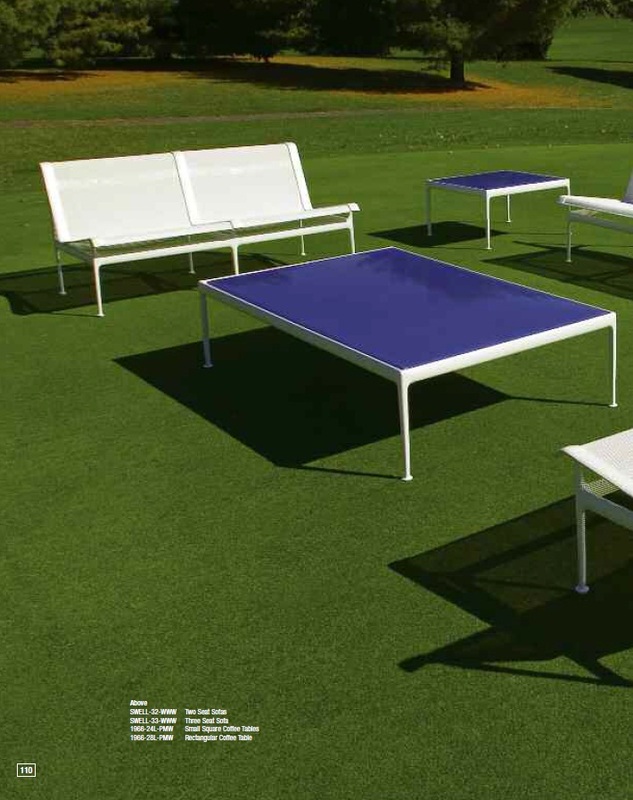 The frames are cast and extruded aluminum finished in weather-resistant polyester powder coat; upholstery is woven vinyl-coated polyester mesh with 100% vinyl straps; connectors and supports are stainless steel; and table tops are porcelain enamel on steel, vertical grain teak, or laminated bamboo with a lacquer finish. 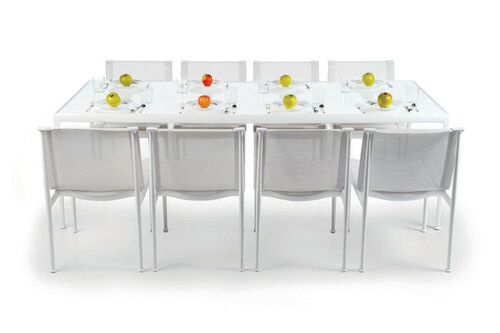 Frames are available in multiple colors: white, camel, silver, black, and chestnut; the mesh is available in even more colors: all of the above, plus aluminum, bronze, and sprout. 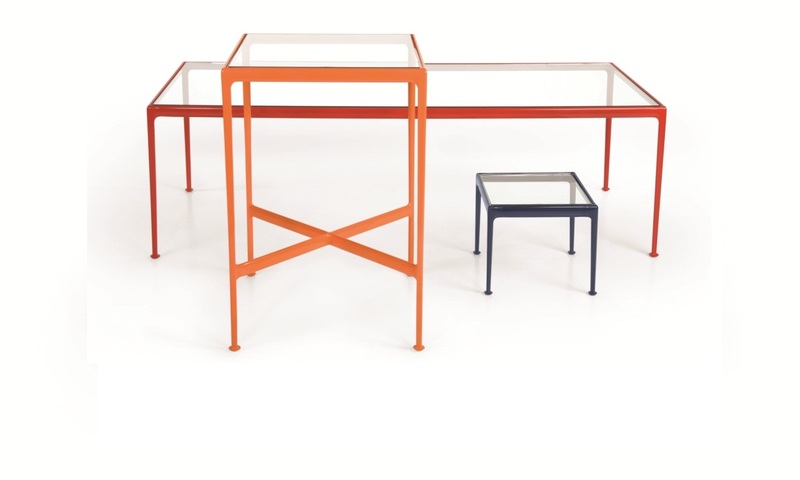 The table tops can add a punch of intense color, such as red or marine blue porcelain. 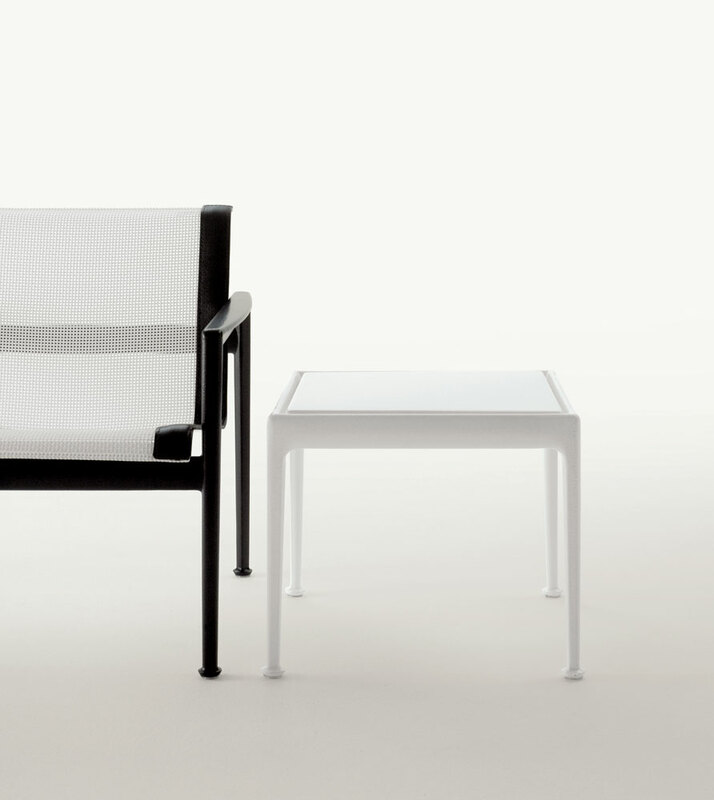 The shapes of the collection are sleek and simple — that has not changed. What has changed is the range of furniture available. 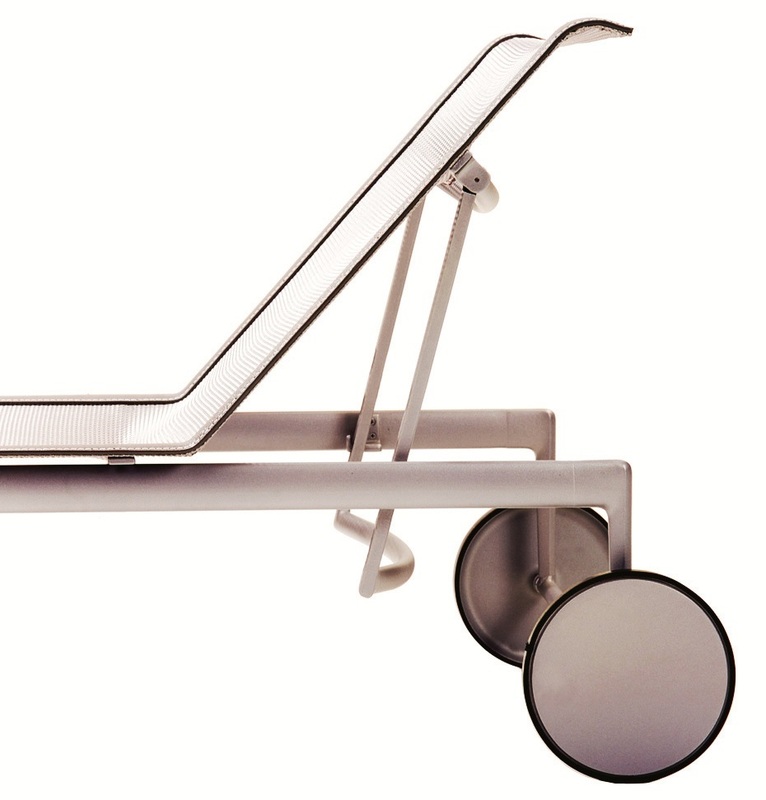 New this year is the Twin seat Lounge Chair with Arms, a two-seater that measures 46” wide. 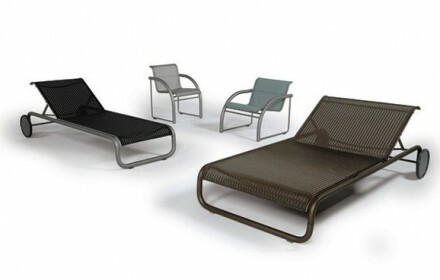 Also new are the Single and Double Rockers ” For outdoor furniture, there is always a lot in the way of reclining — the standard being the adjustable chaise. 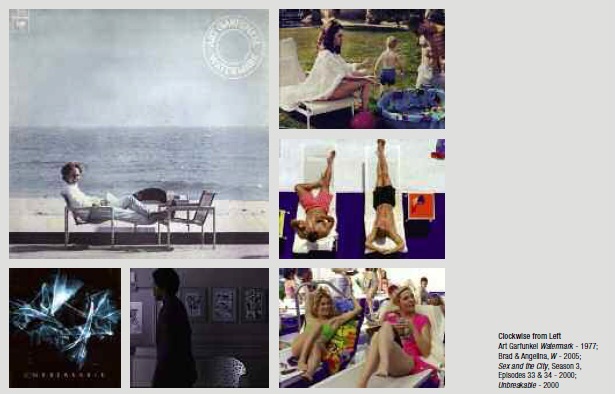 But rocking has been unjustly ignored.” Now, with 1966’s Rockers, an entire range of relaxing poses is at hand. 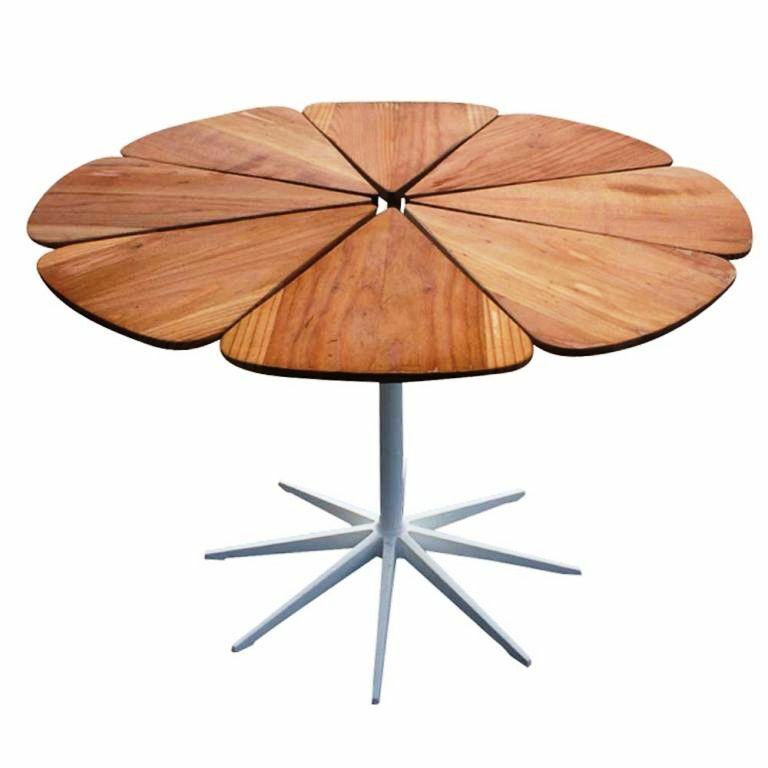 The famous 1966 tables have gotten a decidedly different look too, with bamboo or teak tops—all sizes and styles, including coffee, dining, and cafe tables. 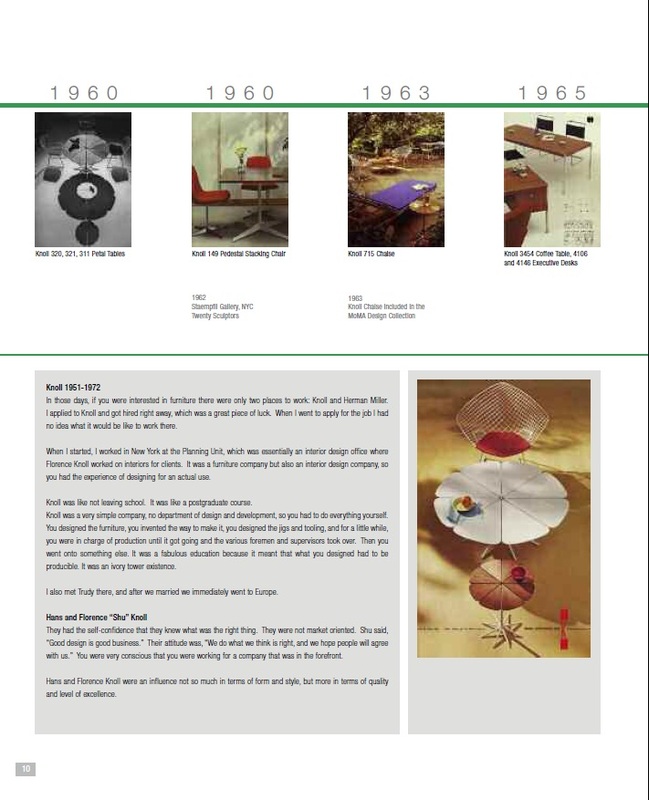 New additions to 1966 also include bar and counter height chairs and tables. 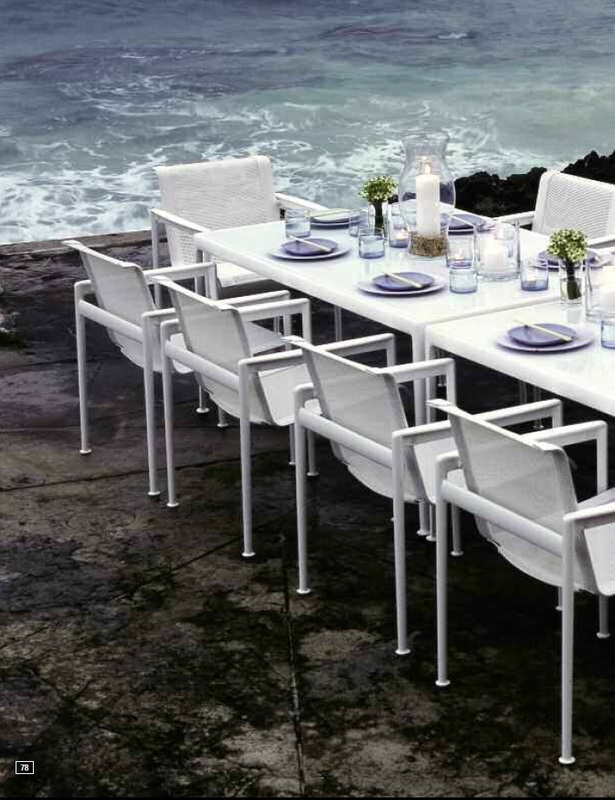 The line of outdoor furniture now has something for everyone. 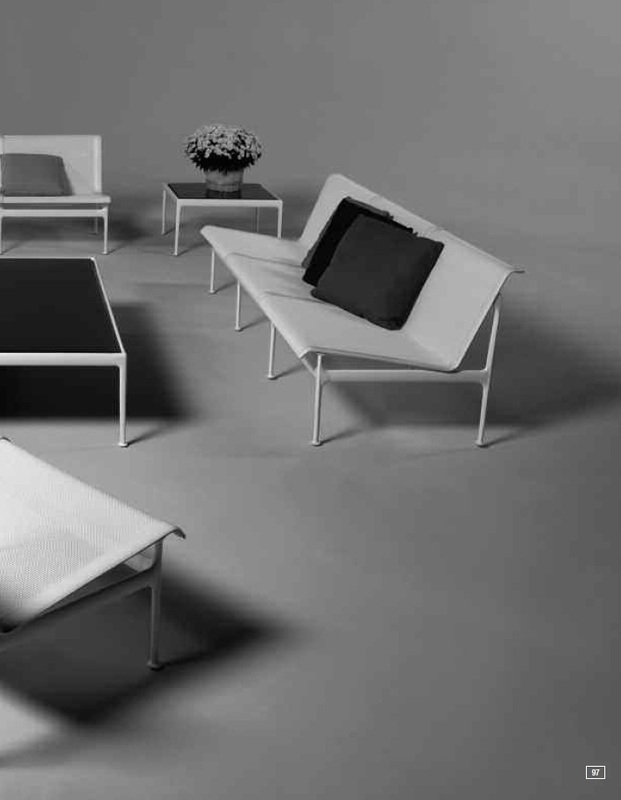 A seating group of 1966 furniture in all black is modern and masculine; rockers in sprout are playful and crisp; bar height tables and chairs in silver are current and hip; and chaise lounges in white are classic and nautical. 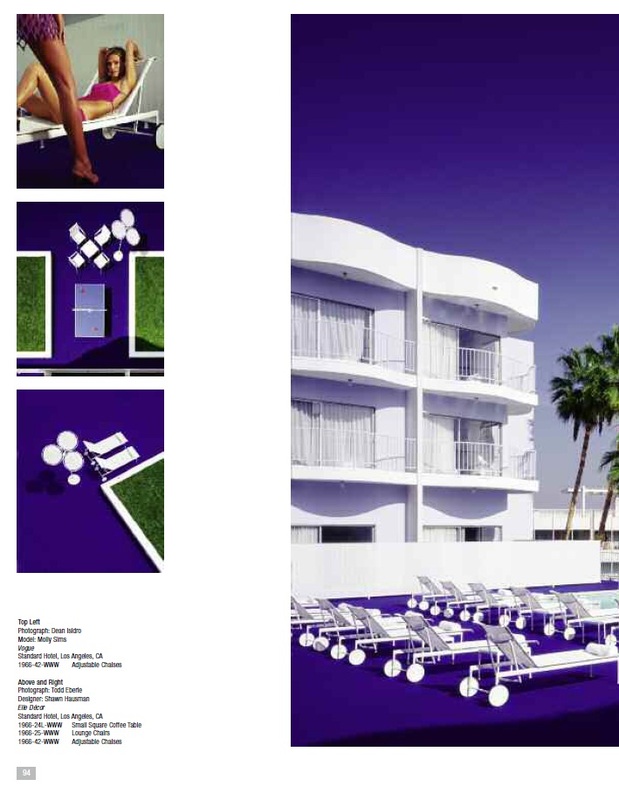 1966 elements can go from poolside to mountain-view, from salty sea environments to rainy tropics. 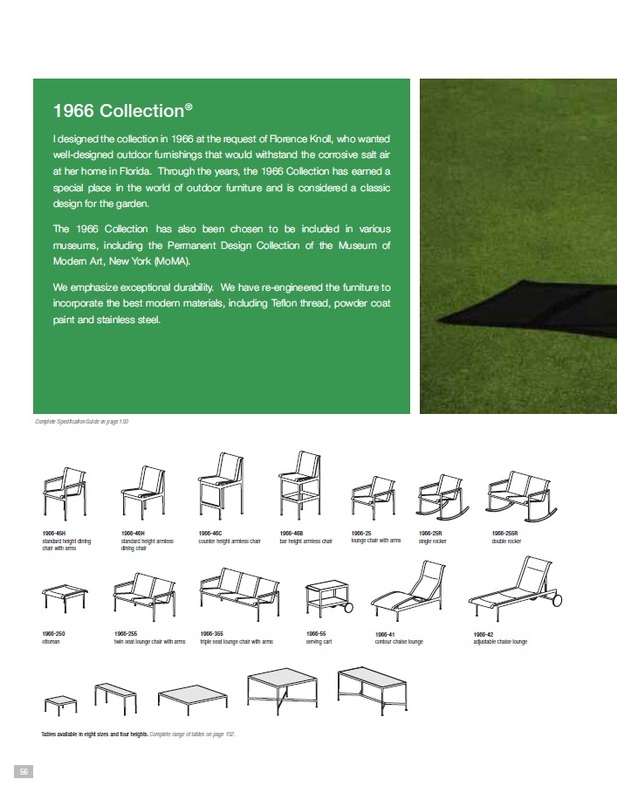 Different types of tables and seats (chairs, armchairs, sofas and chaise longue) are included in the collection. 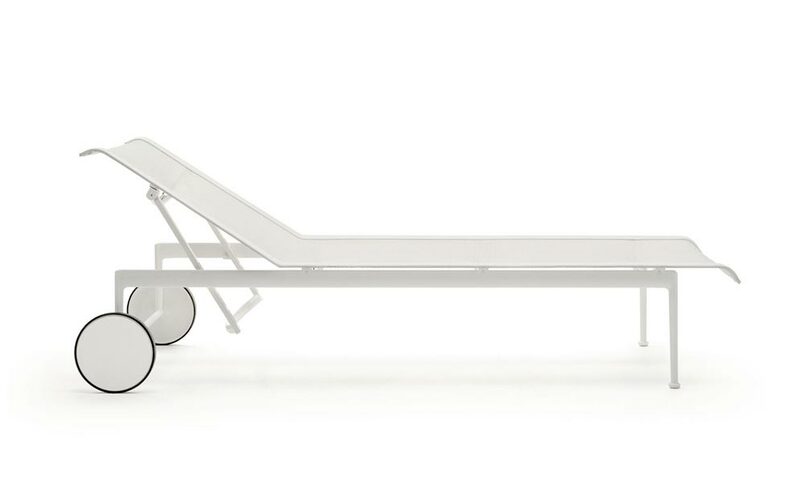 These pieces have become timeless classics, authentic icons of design. 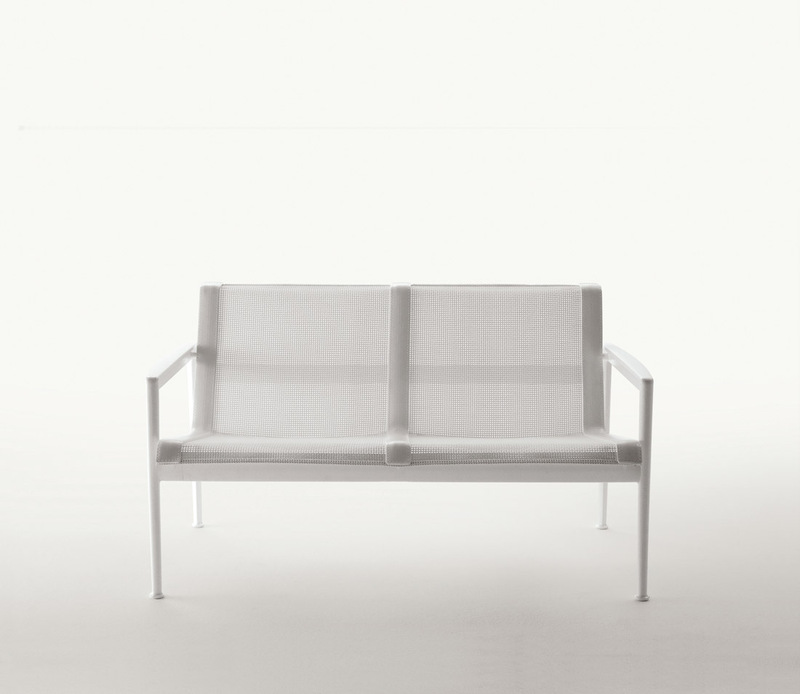 Previously proposed only in “all white”, Richard Schultz’s collections are now available also in the versions black and white with black profiles. 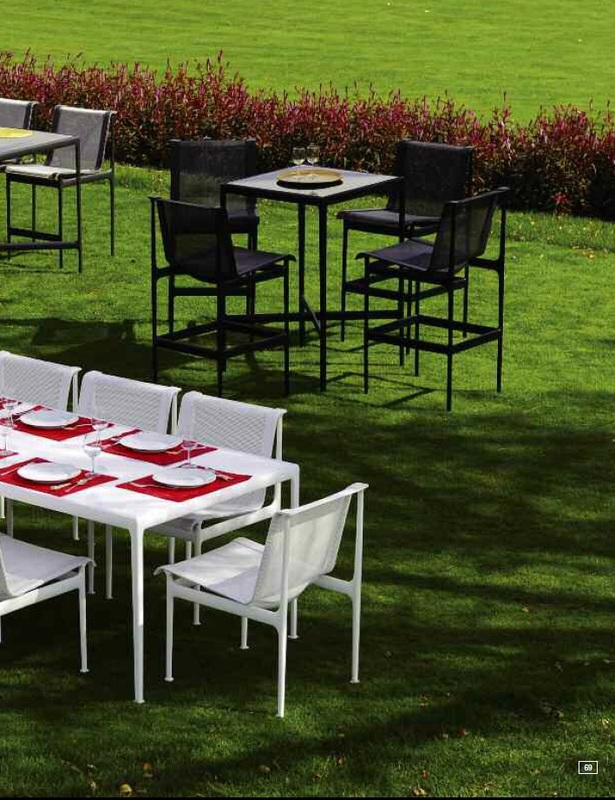 All of the seats are made in aluminium with polyester powder finishes and polyester fibre mesh with borders in synthetic material. 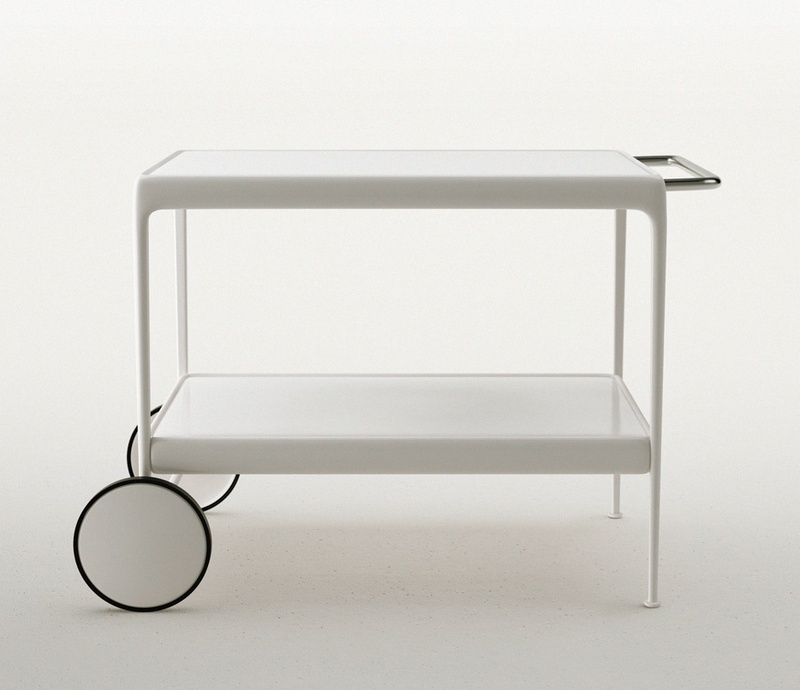 All sizes of the tables and the cart have the same frame with tops in porcelain enamel steel. 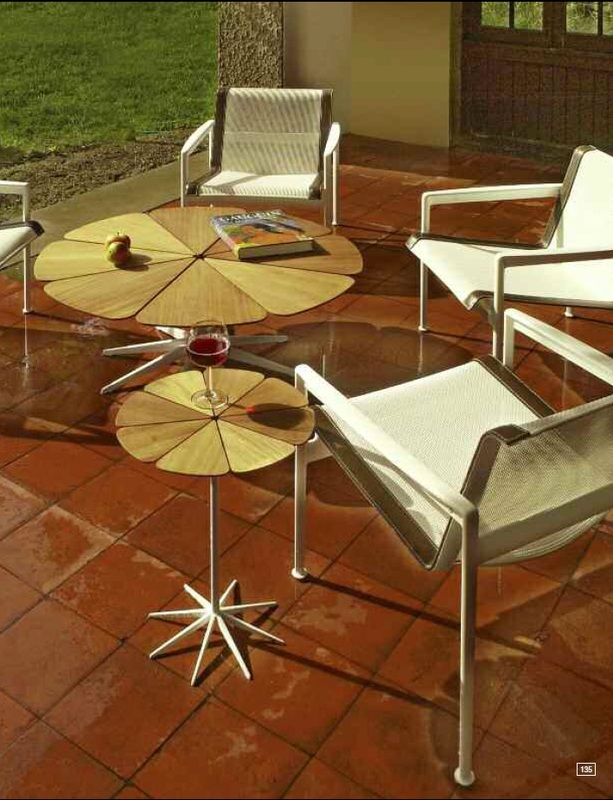 The finishes are guaranteed to offer maximum resistance to weather, pollution, scratching and peeling. 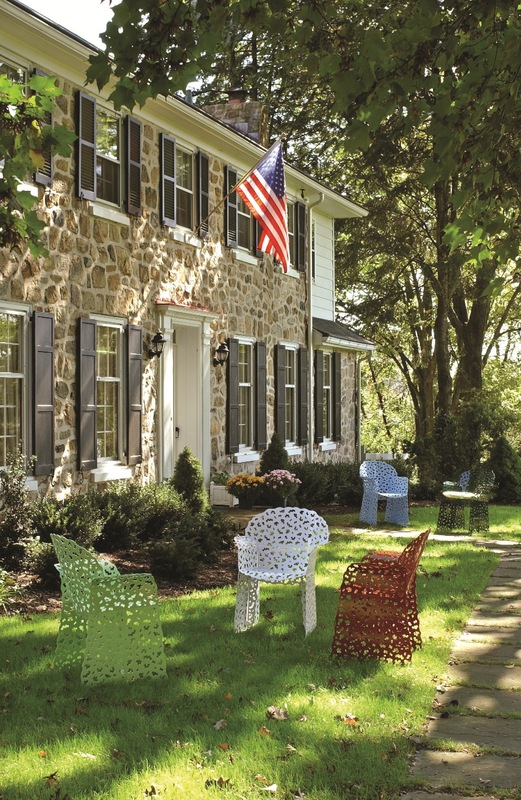 A revamped version of a chair Schultz designed in the 1980s. This time with proprietary stretch fabric and hidden connections so you don’t see any exterior welds. 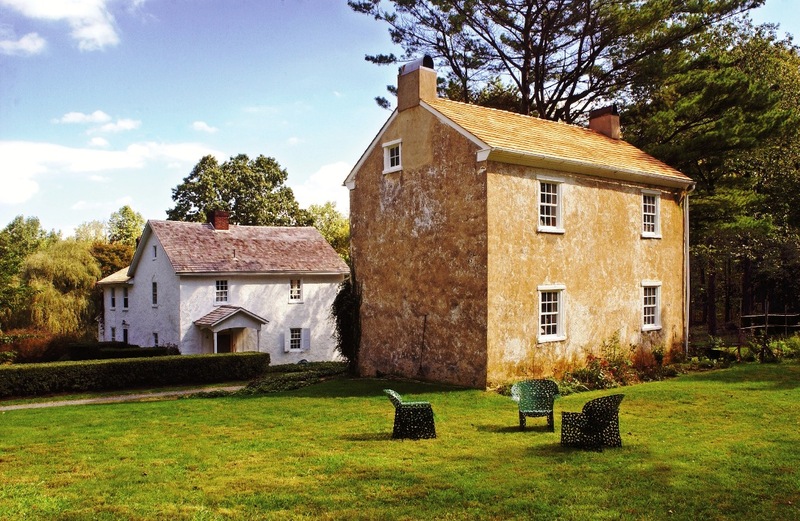 The 18th-century Pennsylvania Dutch Colonial farmhouse in Barto, Pa., where he and his wife, Trudy, have lived since 1955. 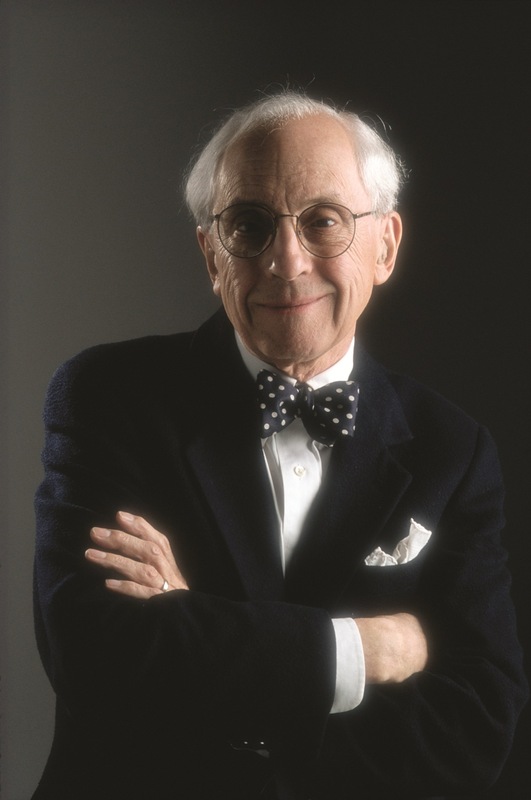 Richard Schultz was born in 1926 in Lafayette, Indiana. He studied mechanical engineering and design at the Iowa State University and the Illinois Institute of Technology Design Department in Chicago. 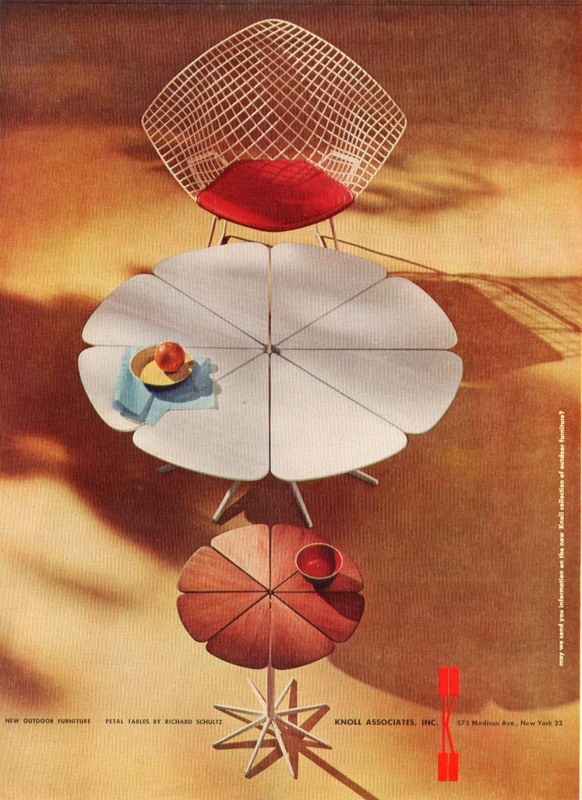 In 1951 Florence Knoll hired him on to their company to assist the sculptor Harry Bertoia, who was working on his metal wire experiments in a shed in Pennsburg, Pennsylvania. 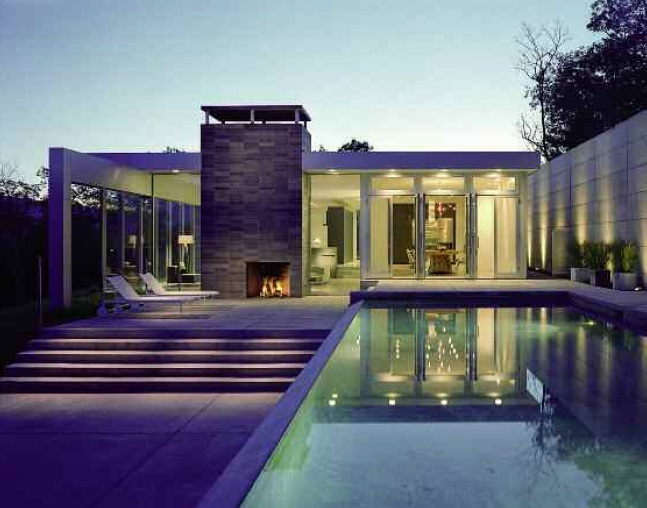 The Knolls wanted the project to move more quickly. 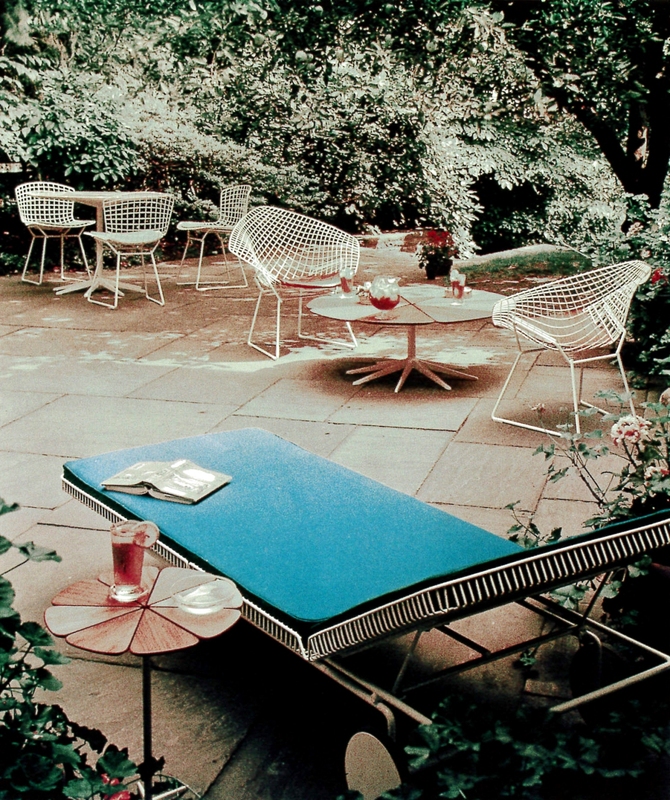 “He didn’t have any helper, so I was given a job,” This project led to a 18 month assignment in Europe initiating Bertoia production with Knoll Subsidiaries and Licensees. 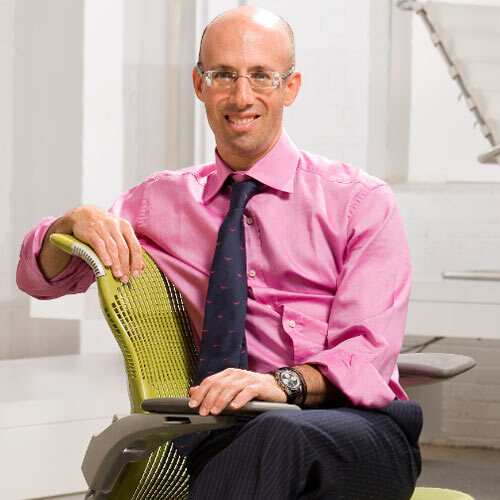 Upon returning, he rejoined the Knoll Design Development Group in East Greenville, Pennsylvania. 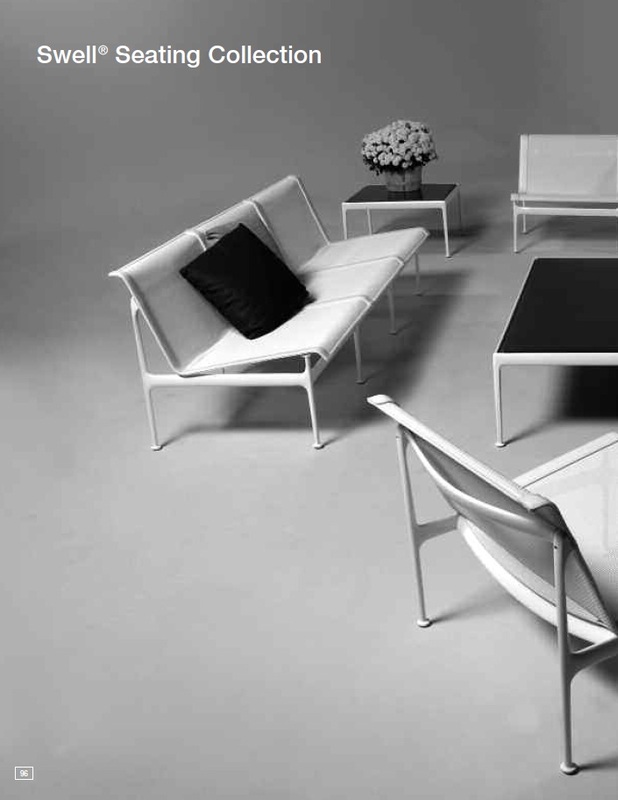 Initial ideas for a petal table and a wire-framed chaise were expanded and extraordinary refined in the Leisure Collection introduced in 1967. 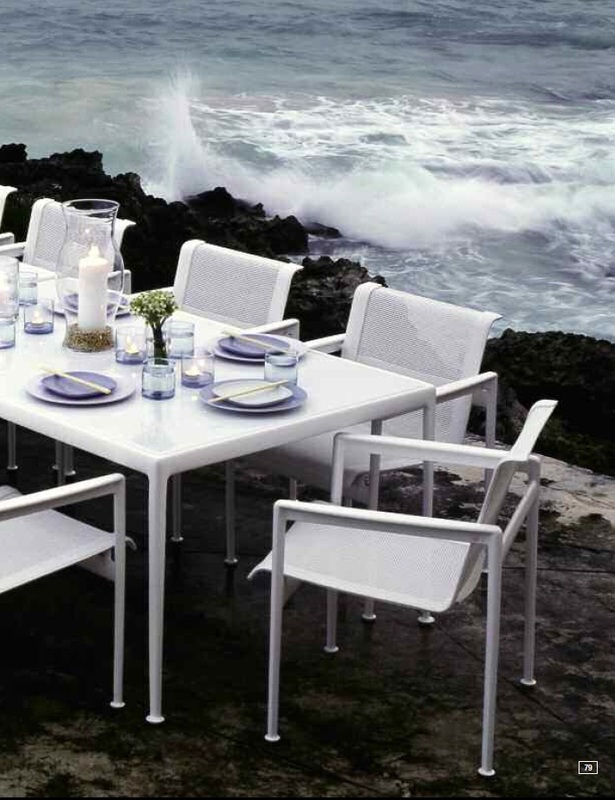 Later, when Florence resettled in Miami after the death of Hans, she discovered that her Bertoia chairs were rusting in the saltwater air. 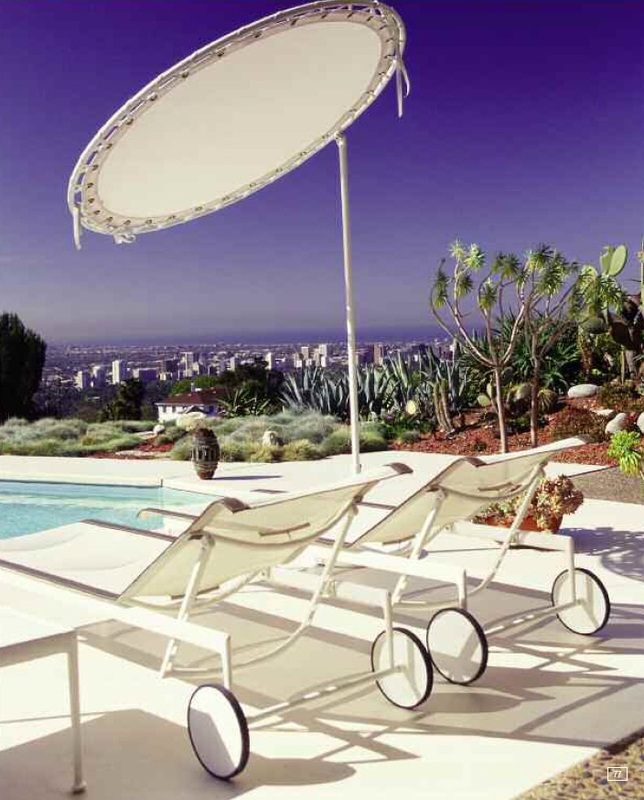 That led to Schultz’s first outdoor line, originally called the Leisure Collection and now known as 1966. 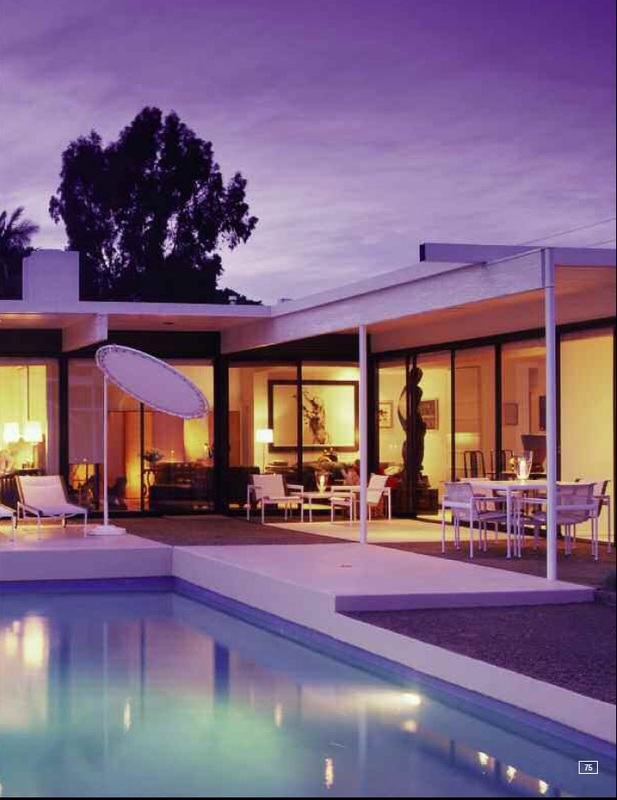 The process of studied refinement is crucial to the Richard Schultz creative process. 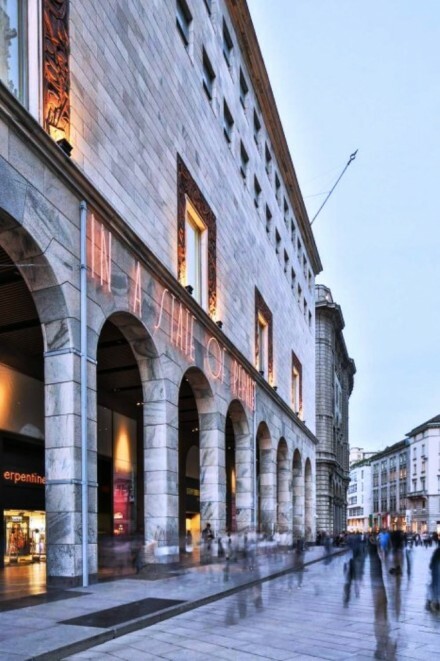 His technical ability, knowledge of materials and of manufacturing process always are at battle and in balance with his strong instincts and background as a sculptor of graceful forms. 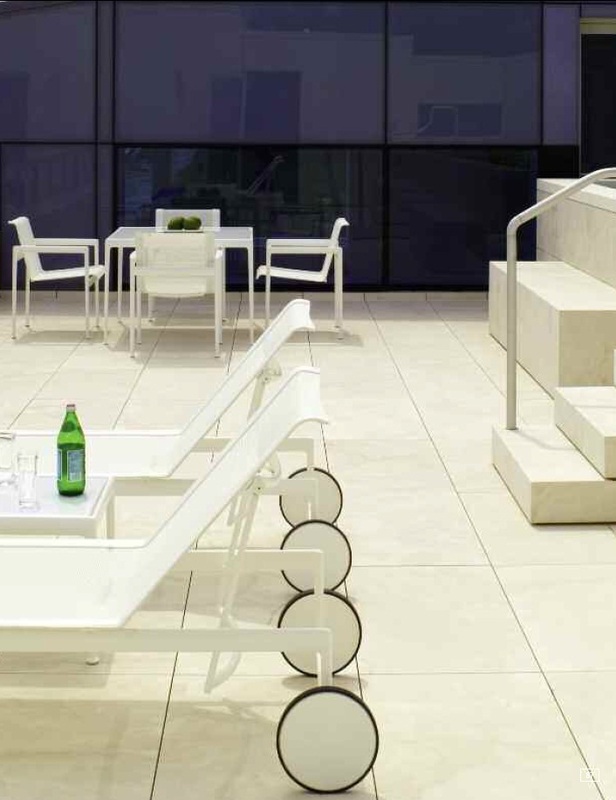 The Leisure Collection is distinguished therefore by a fine sculptured rectilinear quality that is complimented by near-weightless fabric and an inclusive sobriety of construction and carefully considered details. 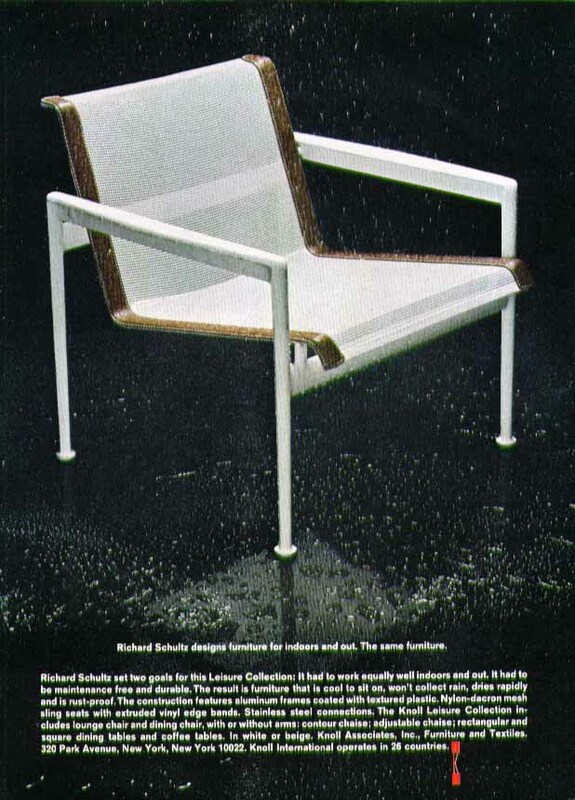 In 1972 Schultz left Knoll to work freelance for Japanese and American manufacturers. Business was brisk, but his creative juices began souring. “I was working on ideas for outdoor furniture, more for fun than for profit, when the opportunity to take over the production of the 1966 Knoll collection came along,” he says. 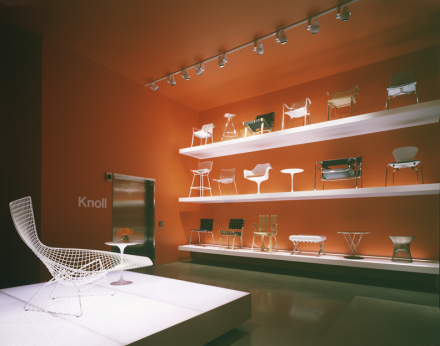 Knoll had been bought out by Westinghouse. When he asked, the company gave him all the original machine tools. 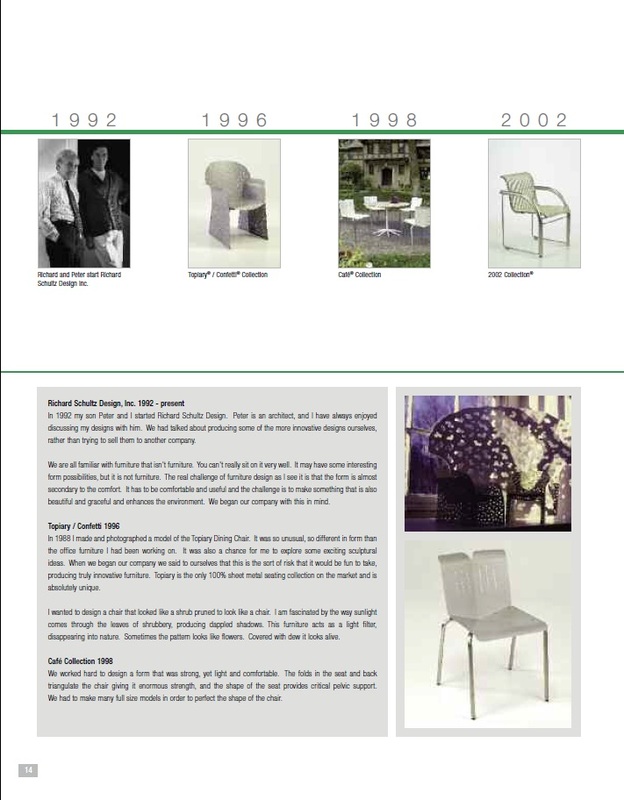 Significant designs over the years include the Petal Table (1960) and Wire Mesh Chaise (1963) for Knoll, and the Topiary Chair (1989) for his own company. 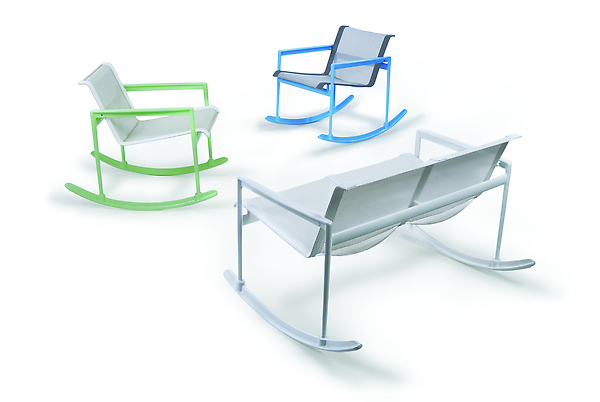 Schultz has always managed to work independently without clients or assignments, defining his own projects that he then sells to manufacturers for production. What interests him most are materials and techniques. “The challenge,” he said “is creating a beautiful form that works as a chair.” It must be comfortable as well as aesthetically pleasing. 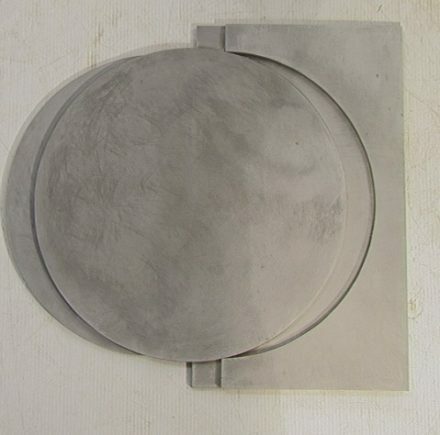 He admires basic, irreducible Shaker designs and strives for simplicity in his own work. PM: You worked with Bertoia on the Diamond chair. What was that like? 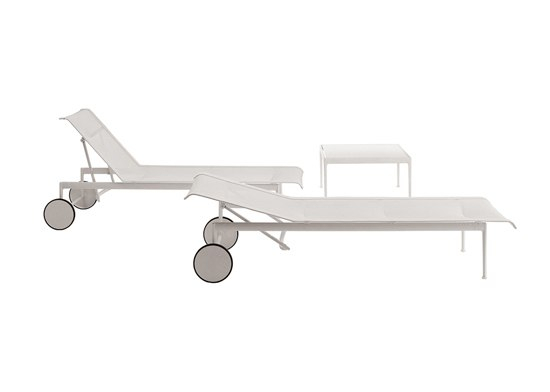 Richard Schultz: I’ve read that he was asked to design a line of furniture for hospitals and said no. 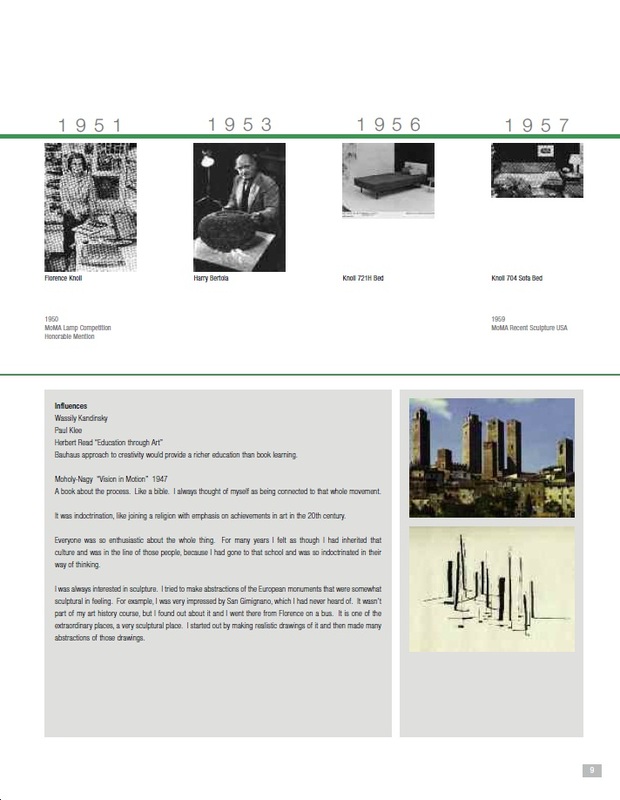 Harry wasn’t a product or industrial designer; he was an artist. 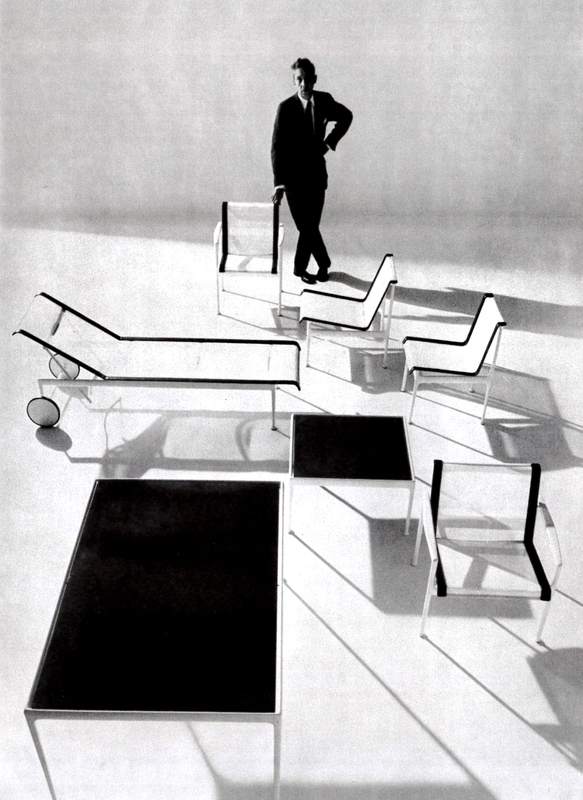 But Hans and Shu [Florence] Knoll were open to whatever he would come up with. 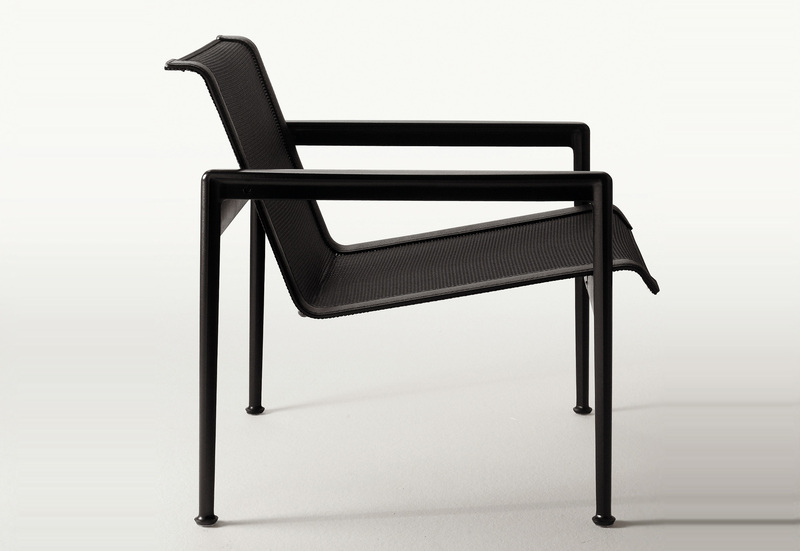 The Diamond was the essential chair, and he developed it using a wooden armchair to get an idea of comfort angles. Then he started sketching in wire three-dimensionally. He never drew anything. 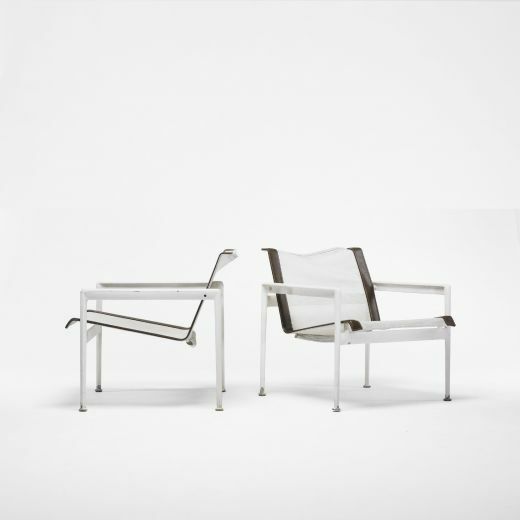 Since Knoll didn’t have any metalworking equipment in those days, it was all brazed together. 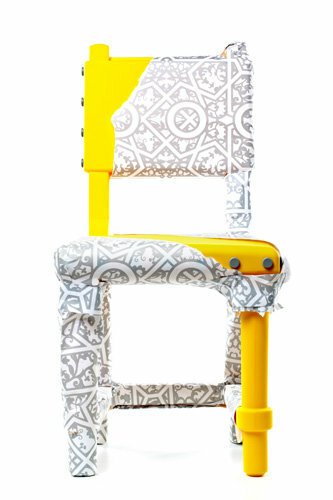 As the chair took shape and evolved, my big assignment was figuring out how to do the upholstery. PM: Why do an upholstered version? 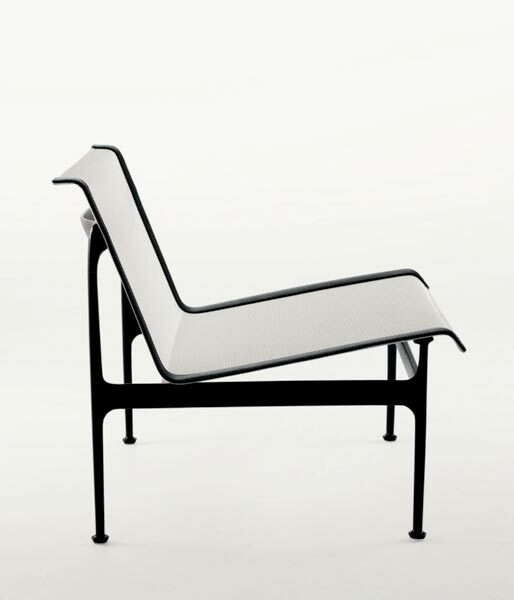 RS: It isn’t a terribly comfortable chair otherwise, with its inch-and-a-half metal squares and thin wire. 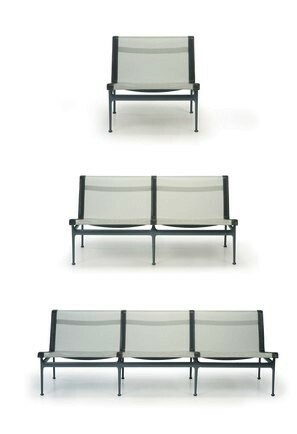 In the begin-ning, Knoll sold some chairs coated with the sort of plastic you’d find on a dish rack, but the vinyl didn’t bond to the wire. 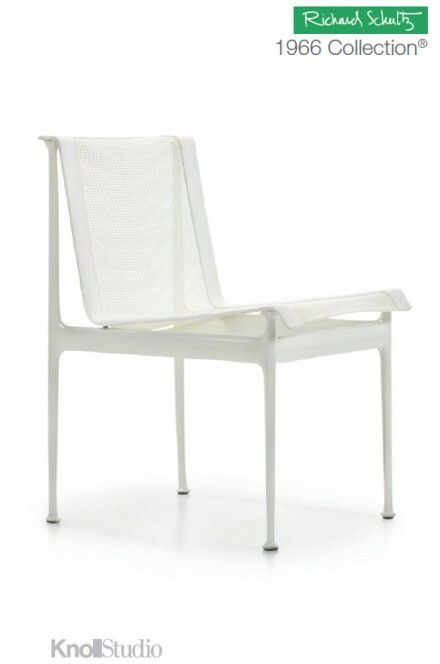 The reason my outdoor furniture came into existence is because Shu—who had married [Harry] Hood Bassett and was living in Miami—came back from Florida one day fuming about how the Bertoia chairs weren’t rustproof. 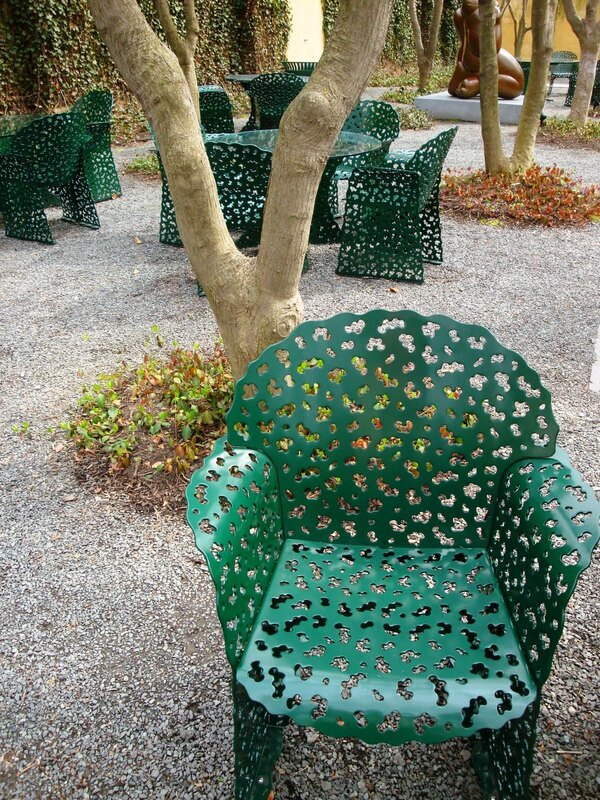 We started getting envelopes with rusty nuts and bolts or corroded parts of a chair, and notes saying, “Why can’t you make a chair that works?” Finally she asked if someone could design decent outdoor furniture. 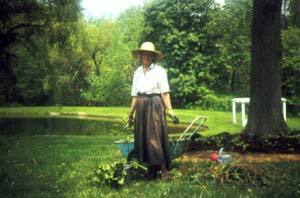 I said, “I’d like to work on that.” It must have been about 1963. It took about three years to develop that. PM: This was the 1966 collection. 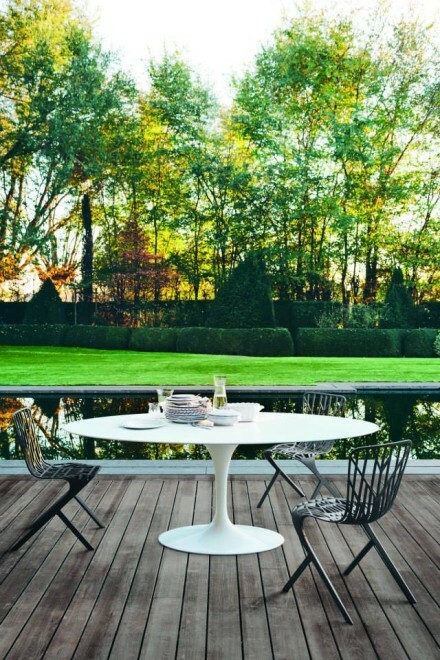 Weren’t you also asked to design a side table to go with the Bertoia chairs? 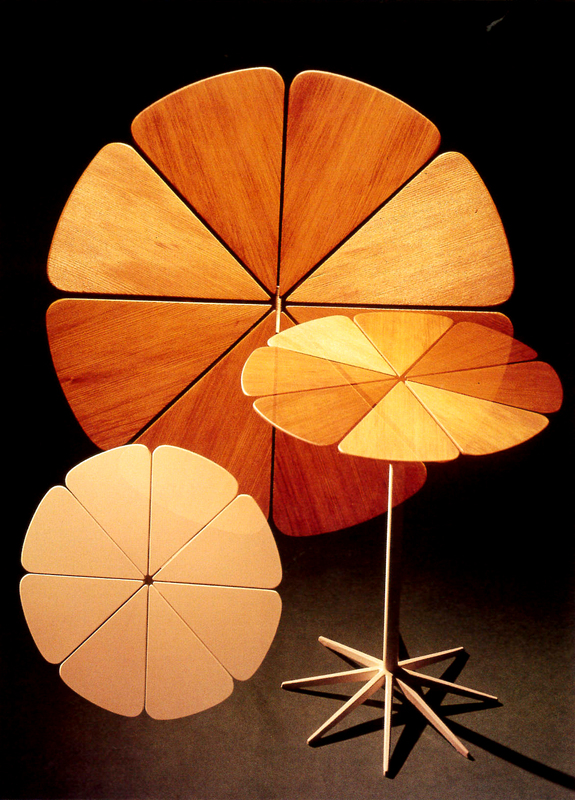 RS: I did the Petal table for the opening of the Los Angeles showroom, but it was not well suited for the Bertoia furniture because it was too expensive to make. 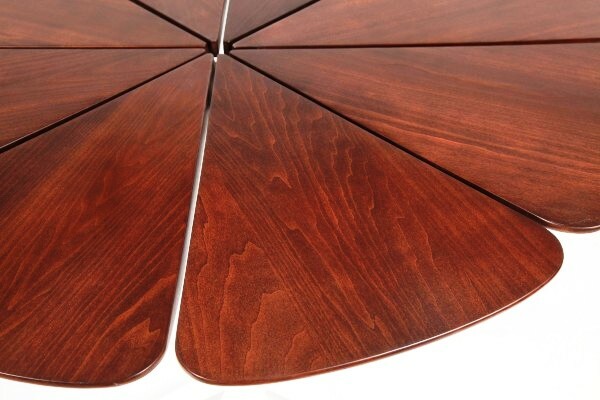 RS: I thought we could take a wooden top and break it up into eight sculptured, carefully radiused pieces of wood and have something more interesting than a wooden-slat table. 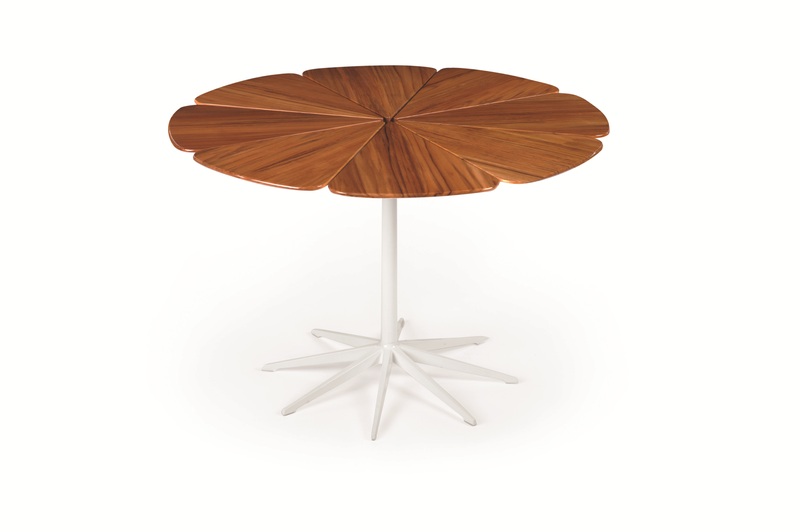 Underneath, there’s a cast-aluminum part that holds up each petal individually. That’s all there was to it. I don’t know if I would do that again, given that it’s so expensive. 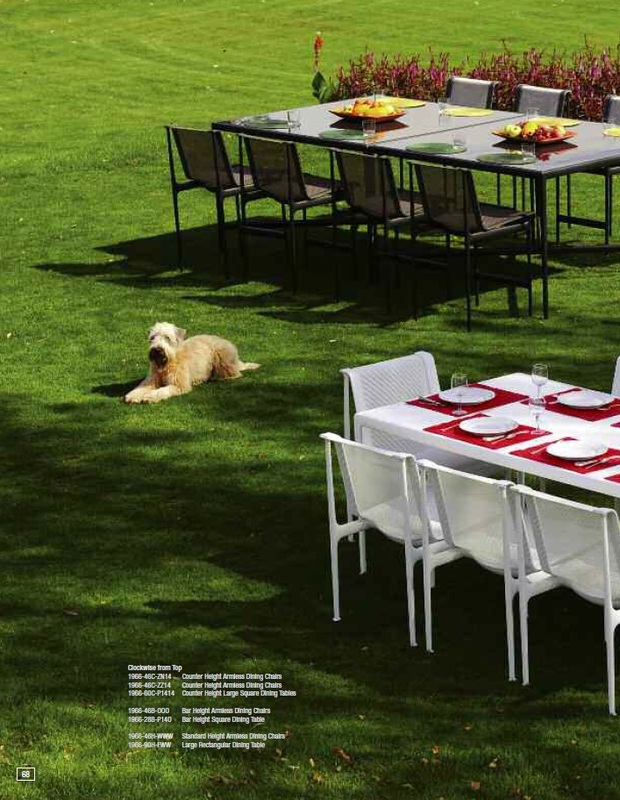 PM: Was it always meant as an outdoor table? RS: Yes. Originally it was made out of redwood. When we brought it back to life in the ’90s, redwood had become endangered. 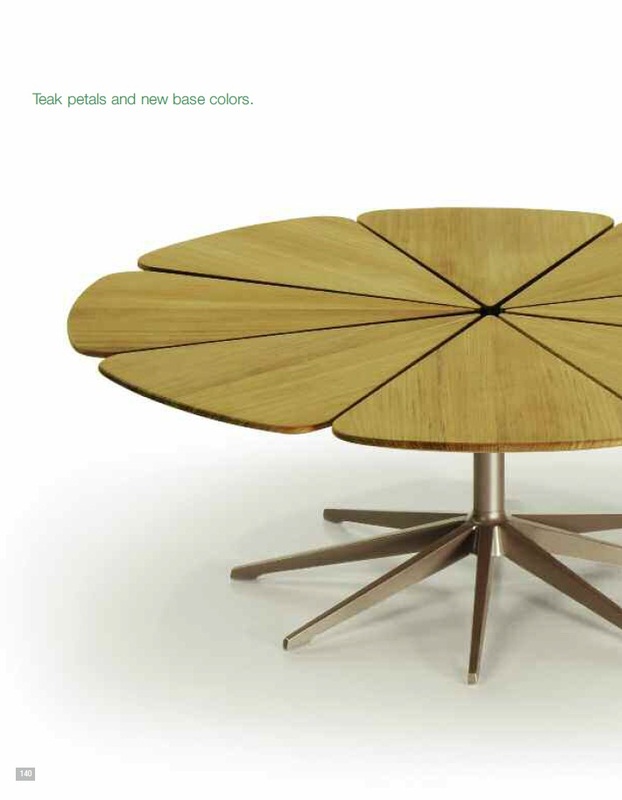 Now it’s made of teak. PM: You left Knoll in 1972. When did you start your company? RS: In 1993. 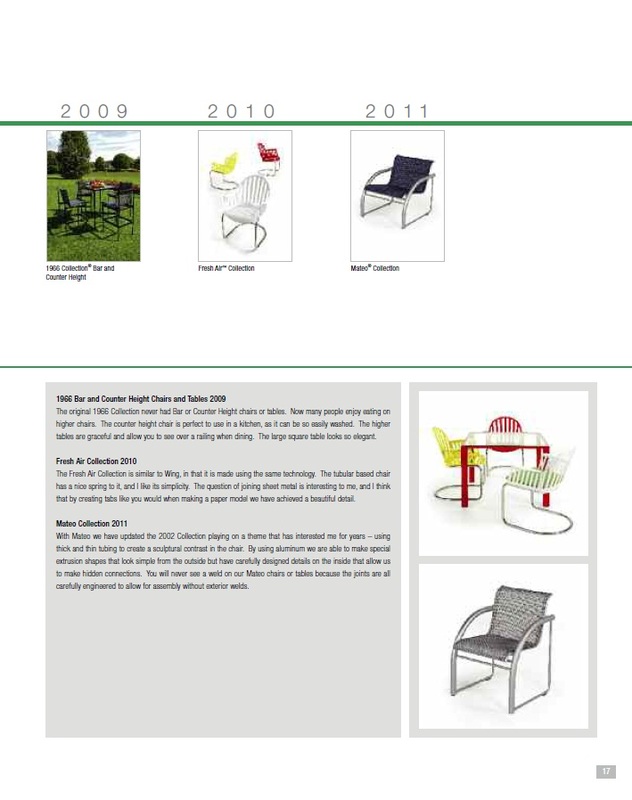 After I left Knoll, I became a freelance designer. 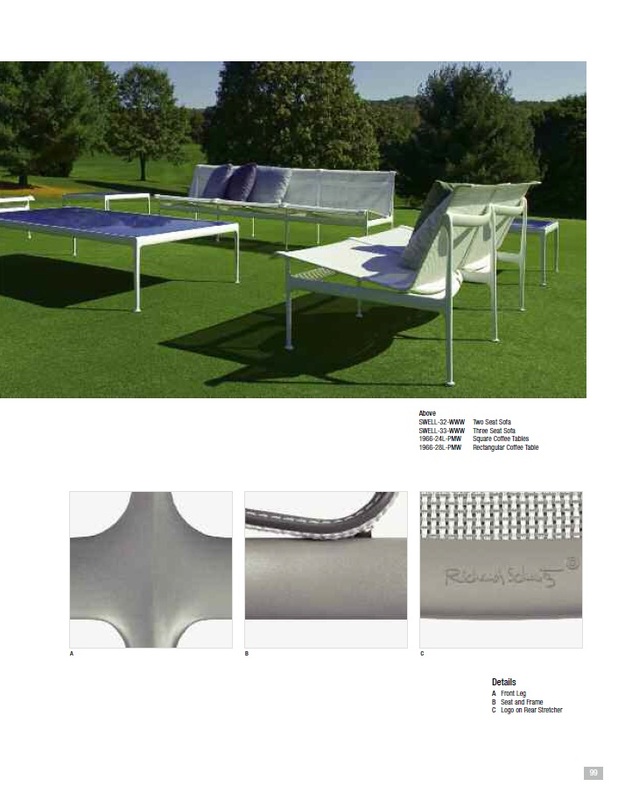 One day Carl Magnusson, from Knoll, called me and said that the company was having trouble with outdoor furniture. He asked if I’d come back and help them redevelop the line. I went there and discovered they were using the wrong thread and the furniture was just falling apart. They also weren’t coating the castings properly. 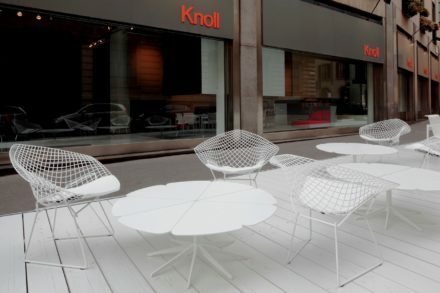 So I worked on it for awhile, and then one of the company’s executives asked why Knoll was even doing outdoor furniture. Eventually they gave us the rights, the tooling, everything. It was very generous. 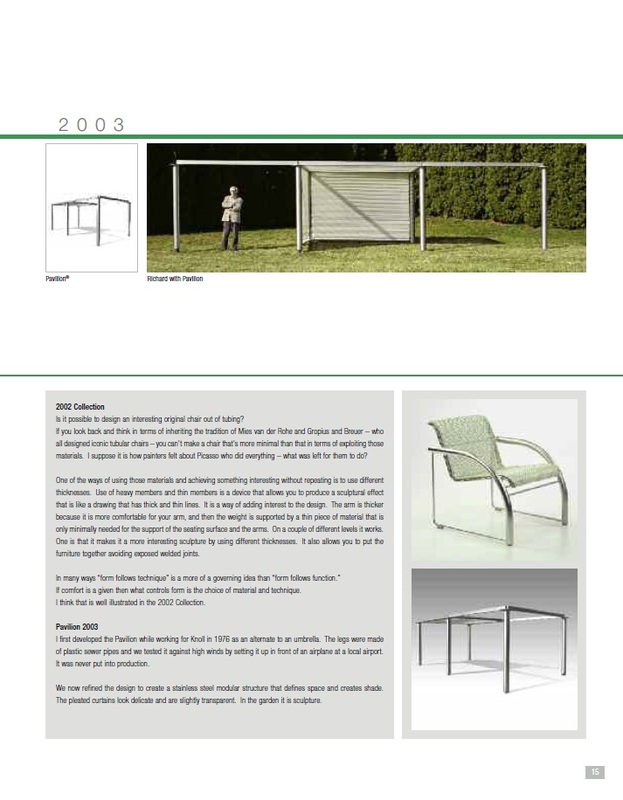 When Peter and I started making this furniture again in the ’90s, we had a huge market of people who wanted replacement slings for their Knoll outdoor furniture. 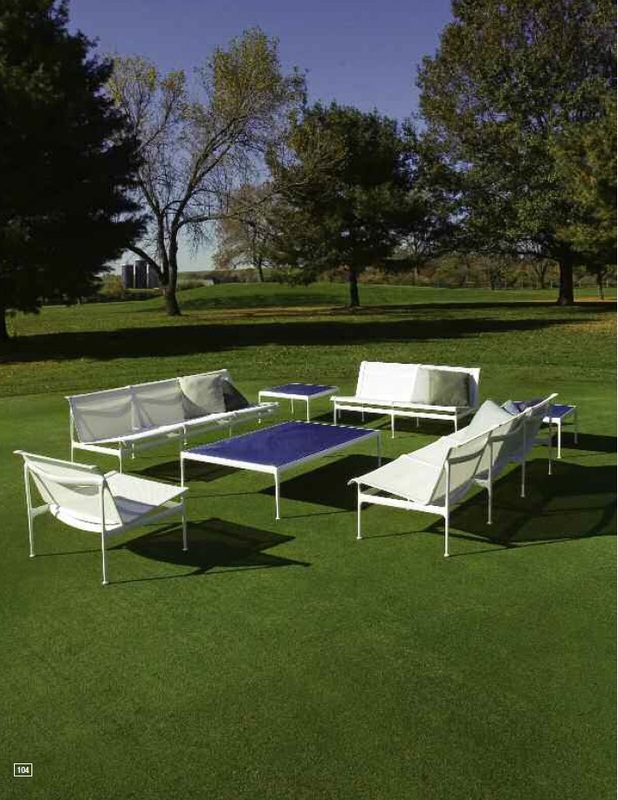 PM: Why does most of your work focus on outdoor furniture? 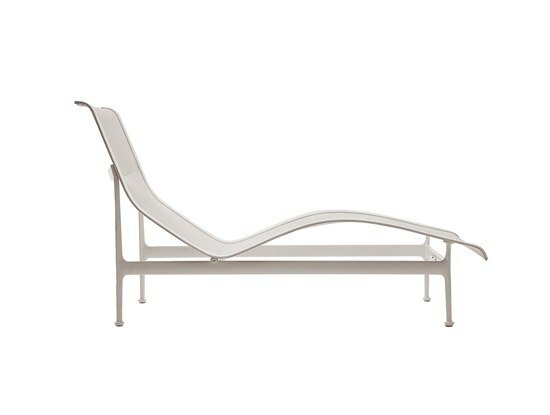 RS: I found that outdoor furniture could be more fanciful and interesting than office furniture. Who wants an office full of wiggly furniture? 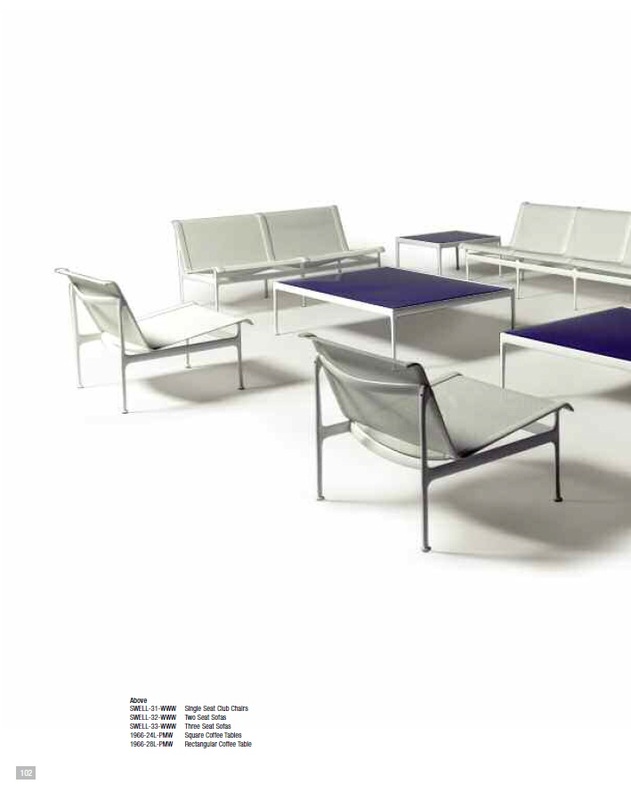 Designing office furniture is boring! 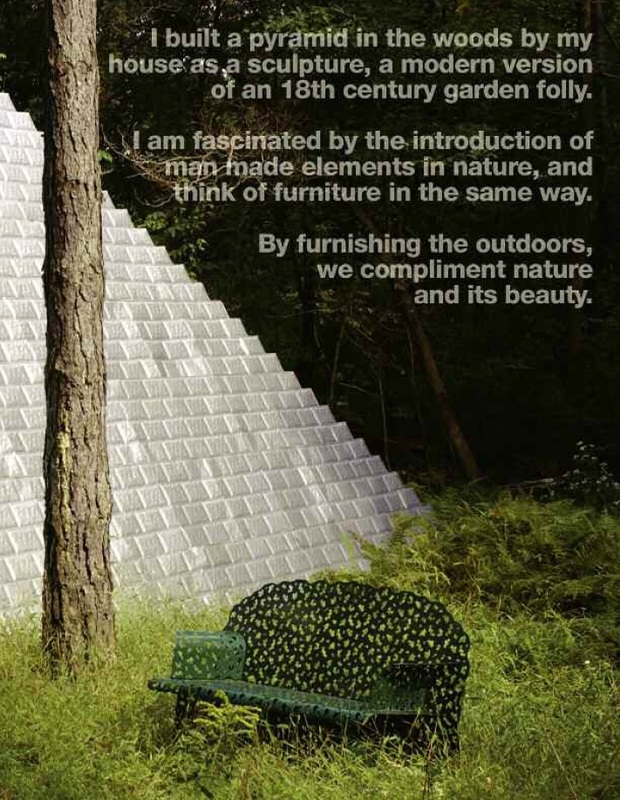 Niels Diffrient doesn’t find it boring, but he designs differently. He’s more of an industrial designer. 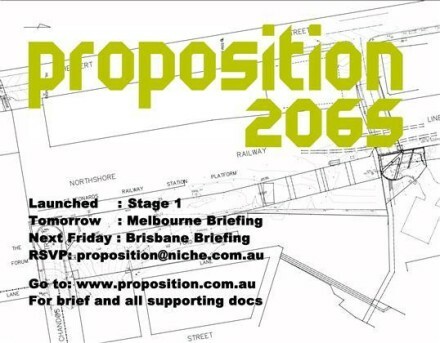 PM: You’re not an industrial designer? RS: I think the only term is furniture design. Historically, furniture wasn’t very functional. 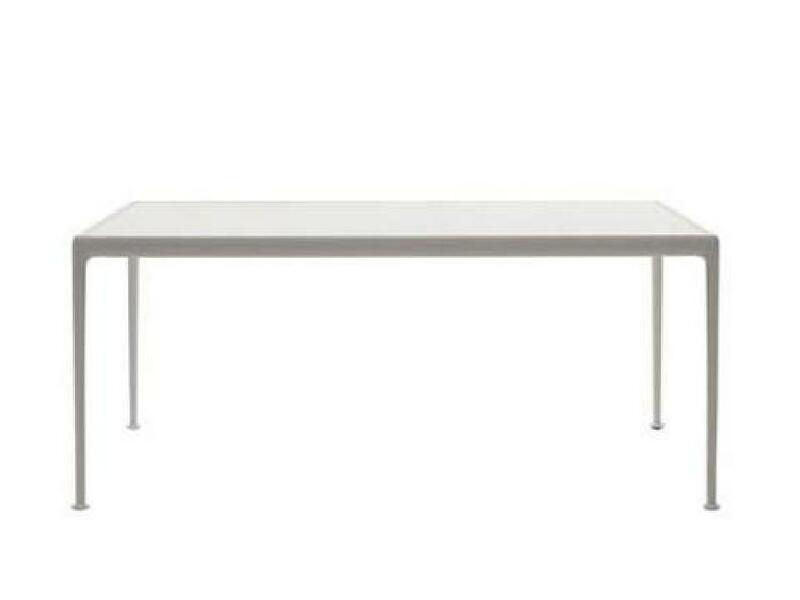 A dining chair had a decent seat and arm height, and it would fit under the edge of the table. If the chair was cute-looking enough, you could say, “Ah, it doesn’t work too well, but isn’t it nice-looking!” The Shakers are the only people who looked at these problems and solved them well, making some of the most exquisite furniture and interiors in the world. 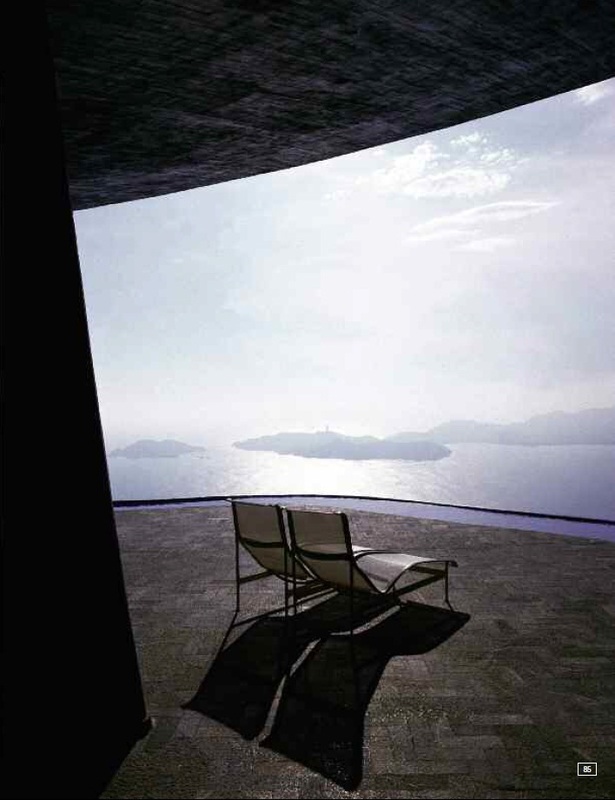 Their furniture is breathtakingly beautiful and simple. 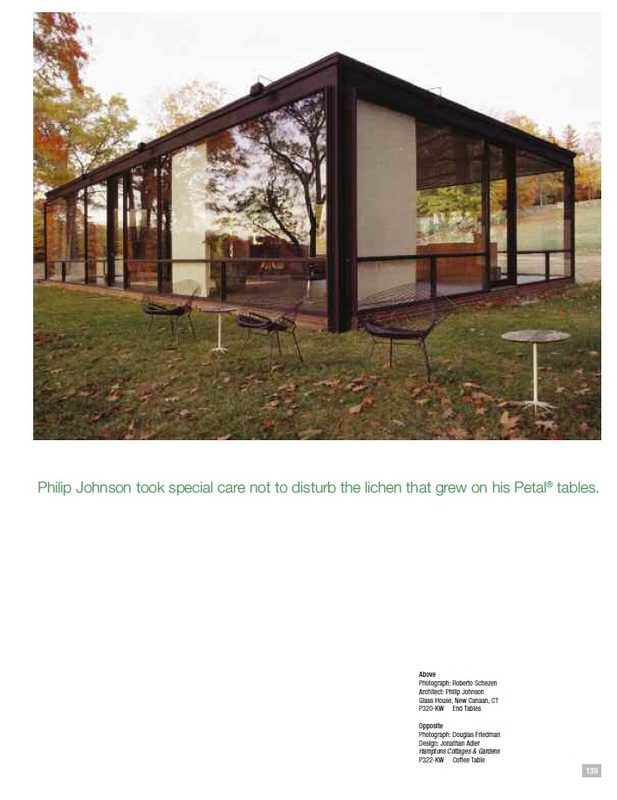 They had Mies’s “less is more” idea figured out way before Mies ever did. PM: Do you spend a lot of time outdoors? RS: No. I like to have a meal outside and do a little hiking, but I’m not a big outdoors man. PM: That’s a bit ironic. RS: I don’t think so. An outdoors man would carry something like a folding stool or camp stool. Those guys aren’t interested in cute chairs. Do you know what a shooting stick is? It’s just a cane where the top opens up and you can sit on it—it’s something the British invented for watching horse races. Now that’s an outdoors man’s chair. 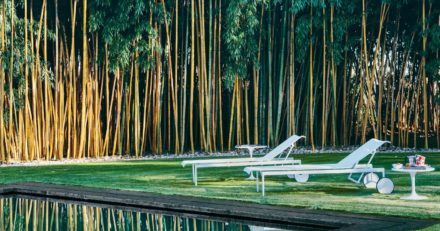 For outdoor furniture designer Richard Schultz, last month’s sale of his brand to Knoll, Inc. ( the purveyor of modern office furniture by the likes of Eero Saarinen, Warren Platner and Harry Bertoia ) completes a full circle. 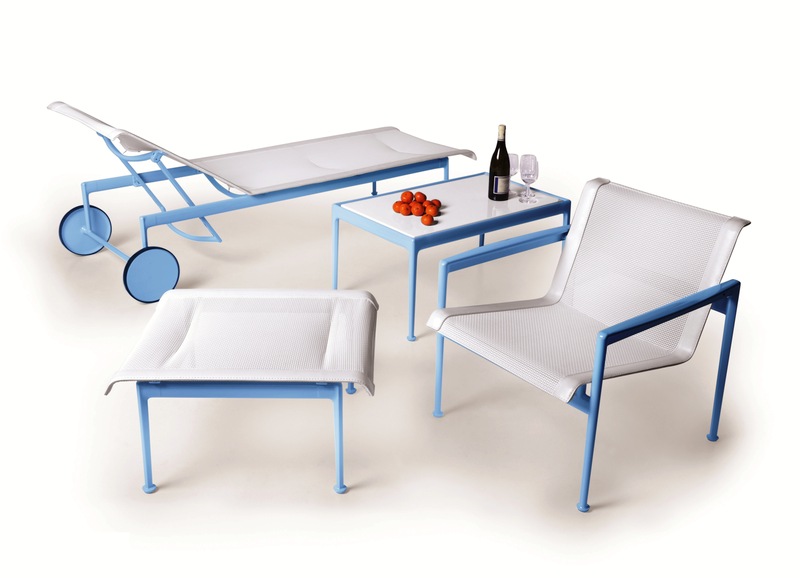 Schultz’s classic designs are now once again under Knoll’s umbrella. 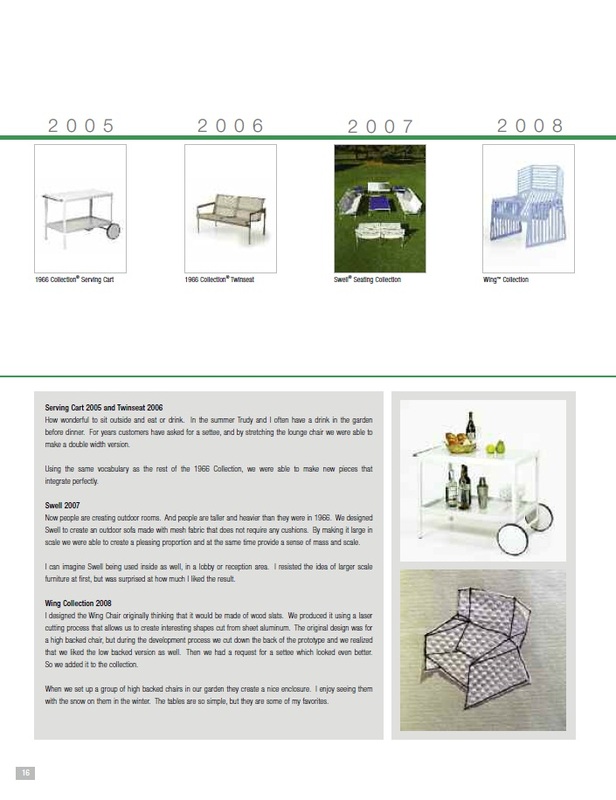 Five years ago, when Knoll, Inc. first approached father and son Richard and Peter Schultz about buying the outdoor furniture company they started together in 1992, they didn’t feel ready to sell. 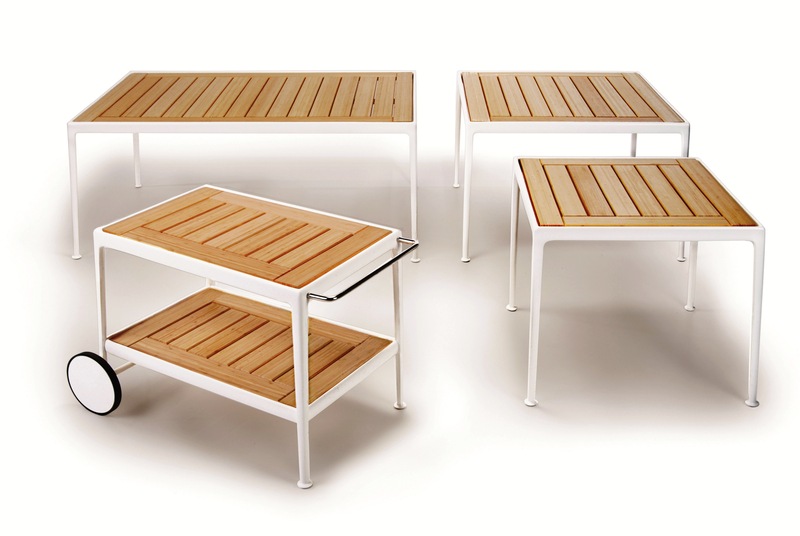 Soon after, the economy, housing market and ­demand for small furniture companies collapsed. 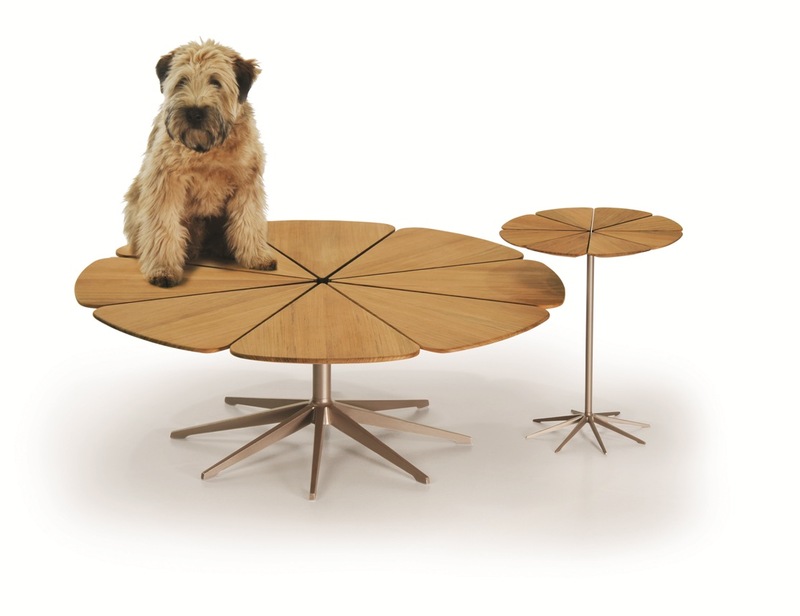 But this year, with consumers again buying the high-end modernist furniture Richard Schultz Design makes, Knoll made a new bid and this time the Schultzes were ready to bite. 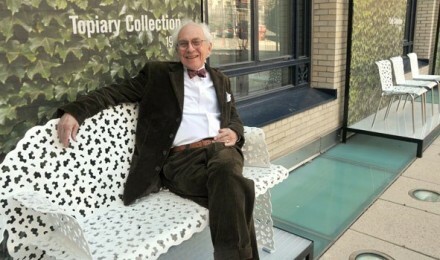 Richard, 85, wanted more time to sculpt—a passion he hardly found time for while designing new ­furniture lines. He jokes that he’ll spend the next three years in “retirement” with a consulting contract from Knoll. 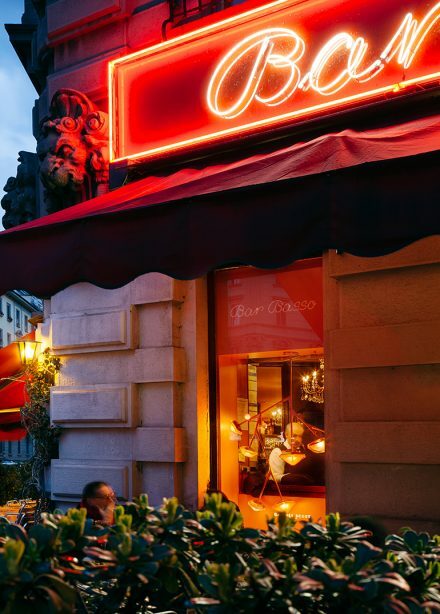 After that he plans to start a new ­design firm. 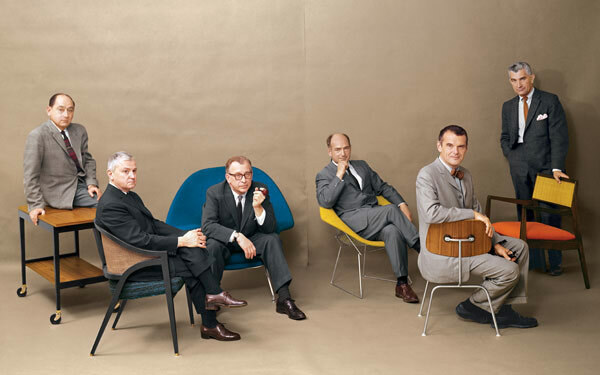 When Schultz started his design career at Knoll in 1960, the company was so close knit that when he and co-worker Trudy Busch got married, owner Florence Knoll lent out her Paris apartment to them for their honeymoon. 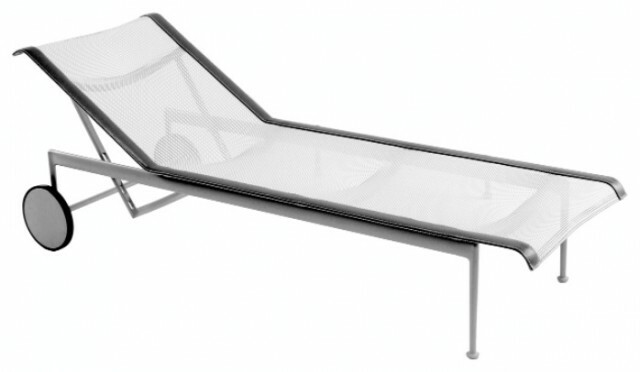 Next up in 1966: a collection of sleek chaise lounges billed as the Leisure Collection, designed at the request of Florence Knoll for her Florida home. “My editor was Mrs. Knoll,” Schultz says. 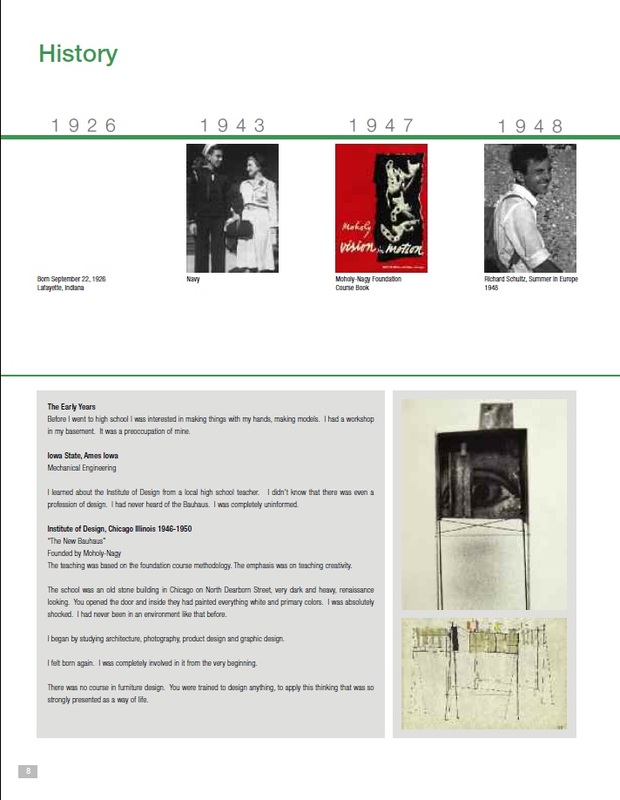 He stayed on at Knoll until 1973, when he left to be a freelance designer. 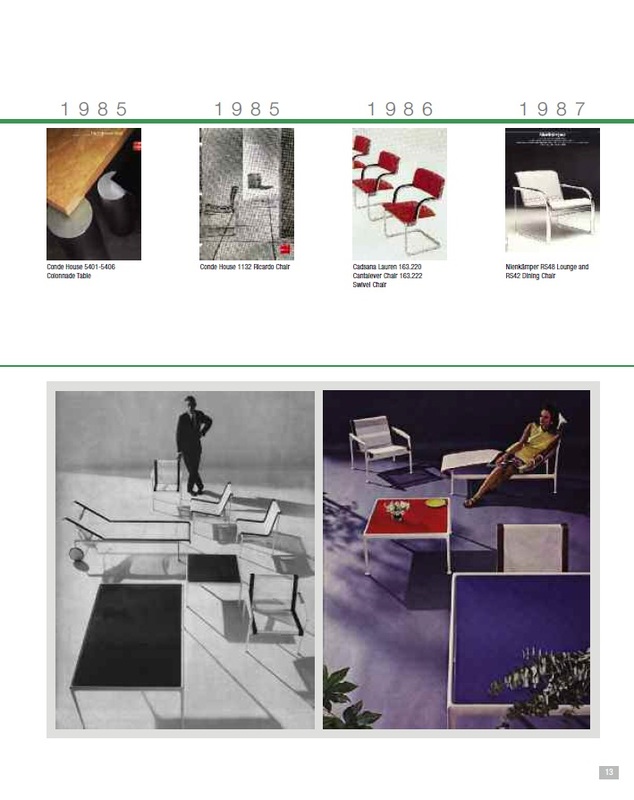 Knoll itself was bought and sold many times, and Schultz’s furniture went out of production. 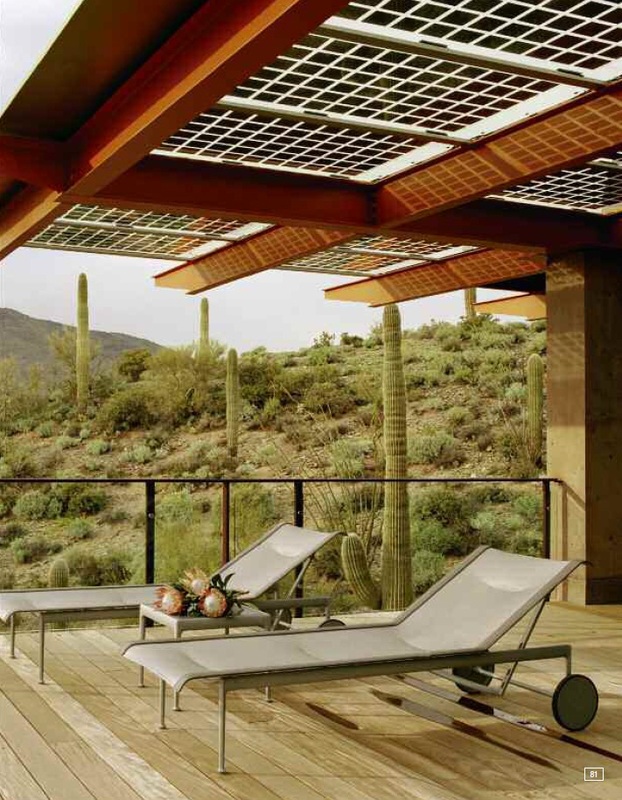 Undeterred, he and son Peter, an architect in New York, took that rejection as the impetus to start Richard Schultz Design in 1992. There would be two missions: to reintroduce the classics with some reengineering (the Leisure Collection was renamed the 1966 Collection), and to have an outlet for Schultz’s newest designs. 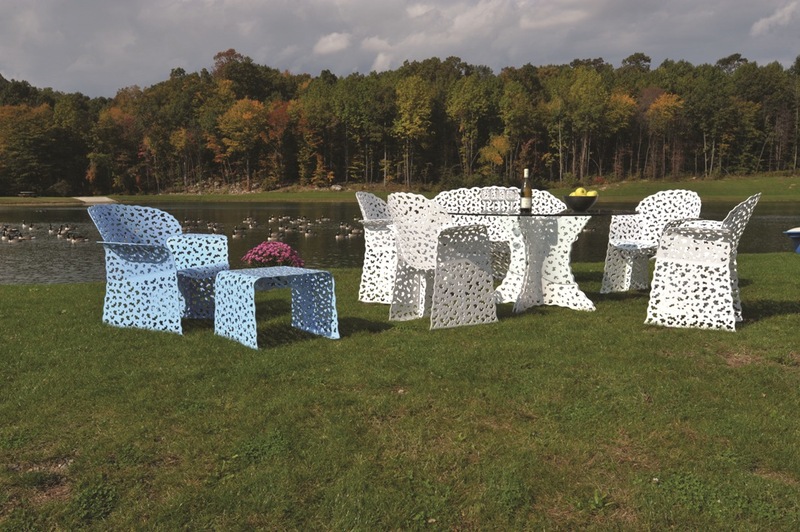 New designs came easily: The Café Collection of stackable chairs with funky triangular folds in the seat and the back; . He stayed in the design room for the most part; Peter managed the business side of things; and Trudy kept a notebook of all the disasters, including failing thread. “It was rather sinister of her,” Schultz quips. 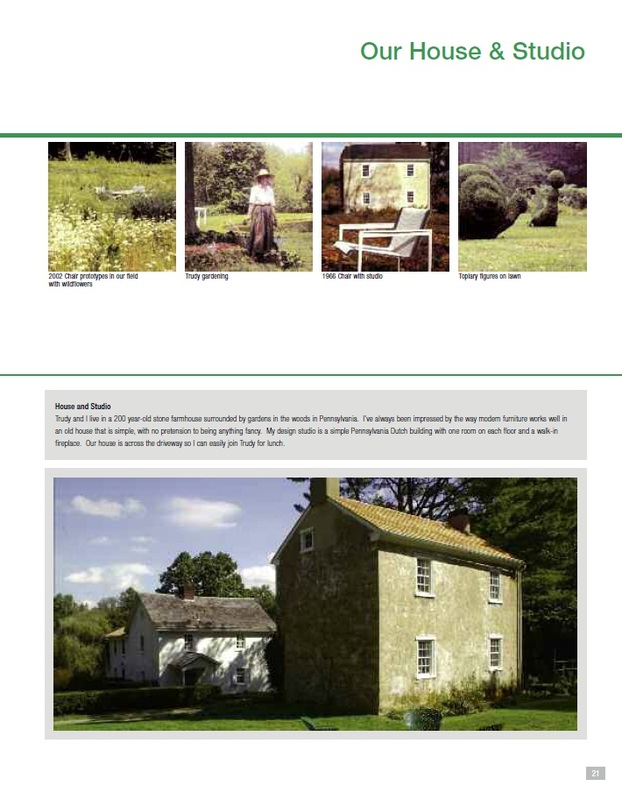 Richard and Trudy are now retired in Vermont, where Richard is trying to focus on his small scale metal sculpture work.